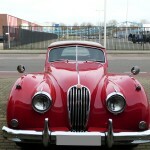 Nice, good driving car. 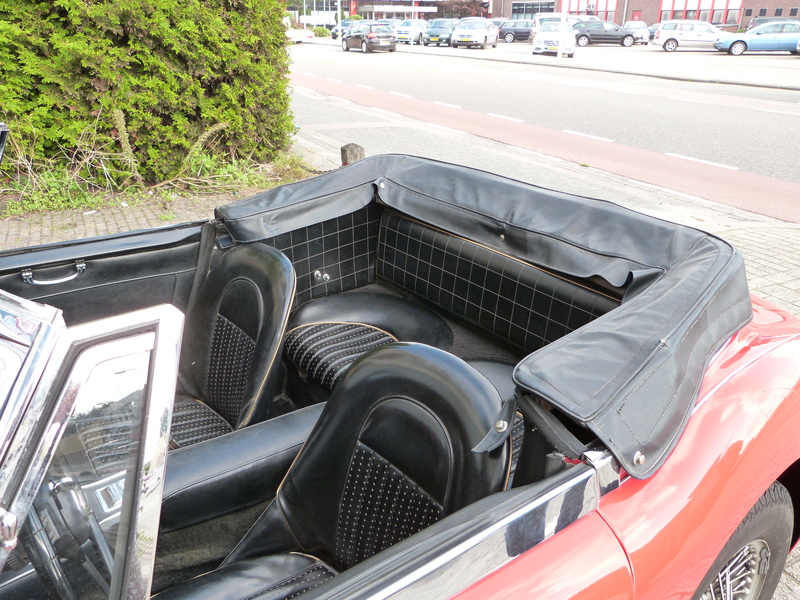 Leather seats, black everflex hood and black everflex tonneau-cover. 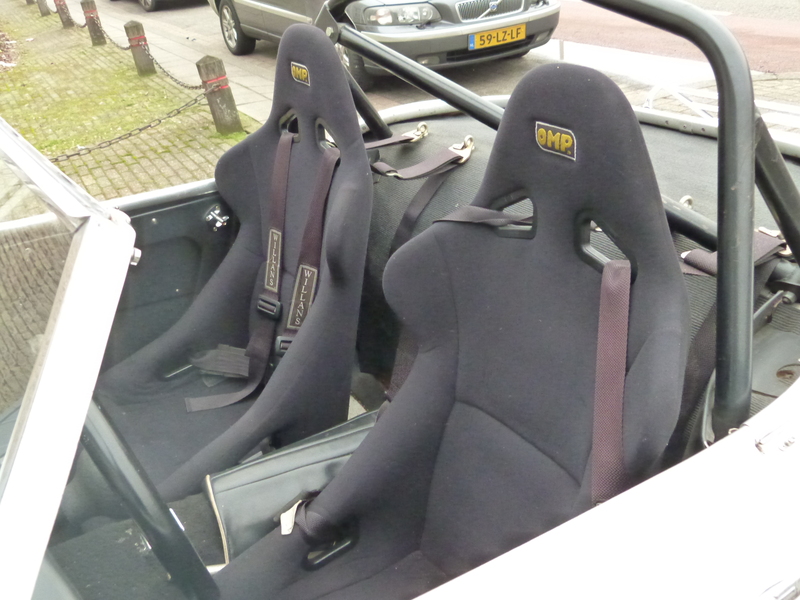 This car is equipped with a collapsable steering column, a double braking system, 3 Webers, OMP 4 point seat belts and a GTI Rally Twin. 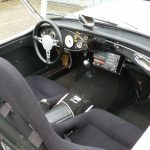 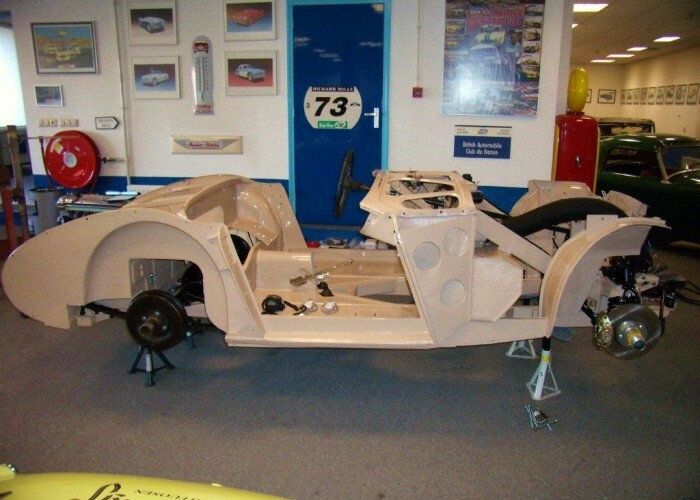 This car has been modified to a rally car, it is equipped with a collapsable steering column, double braking system, rear disc brakes, rollbar, limited slip differential, bucketseats, 4 point seatbelts, hardtop etc. 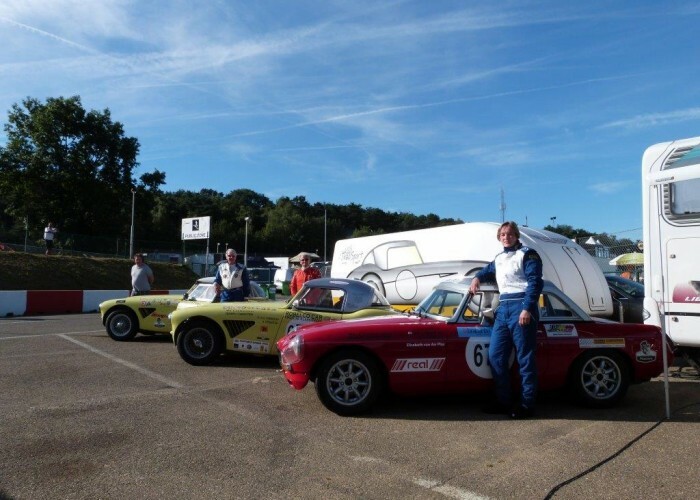 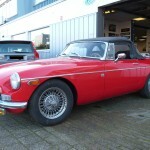 The car has had the same owner for the last 29 years and has taken part in many international rally’s. 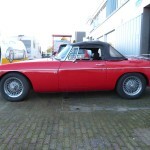 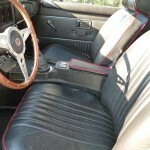 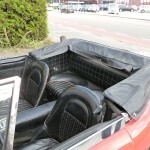 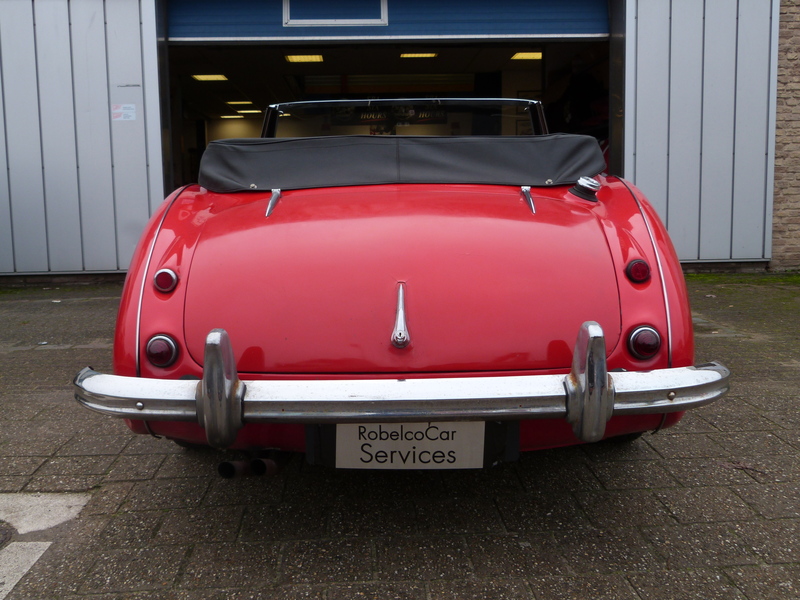 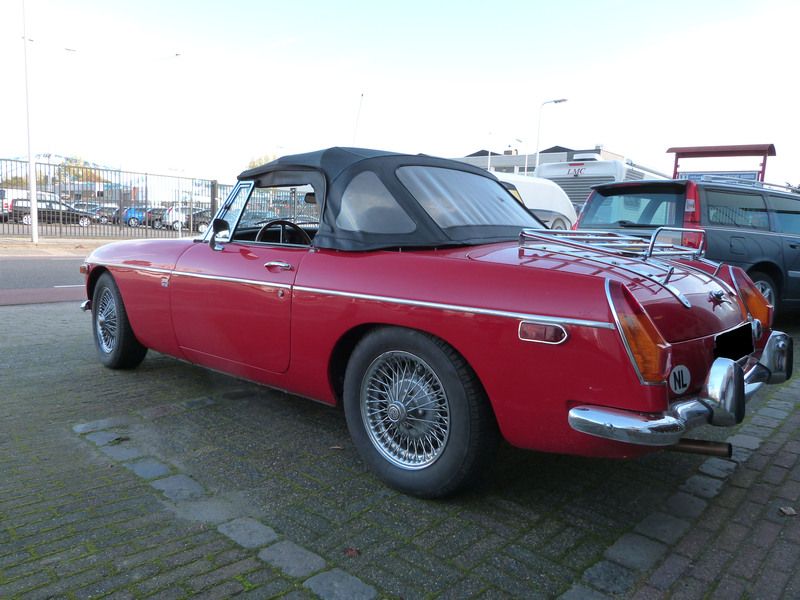 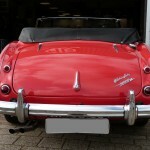 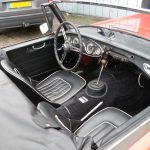 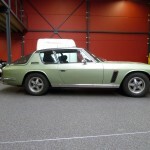 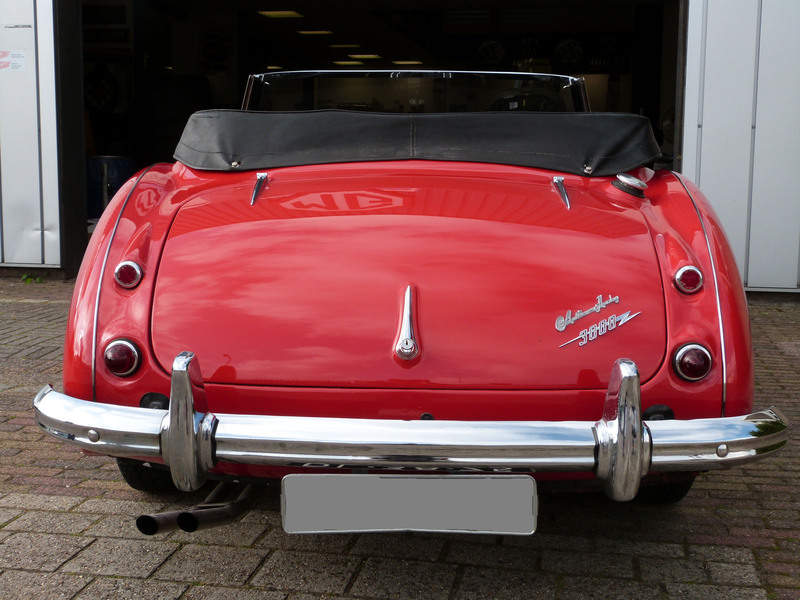 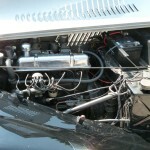 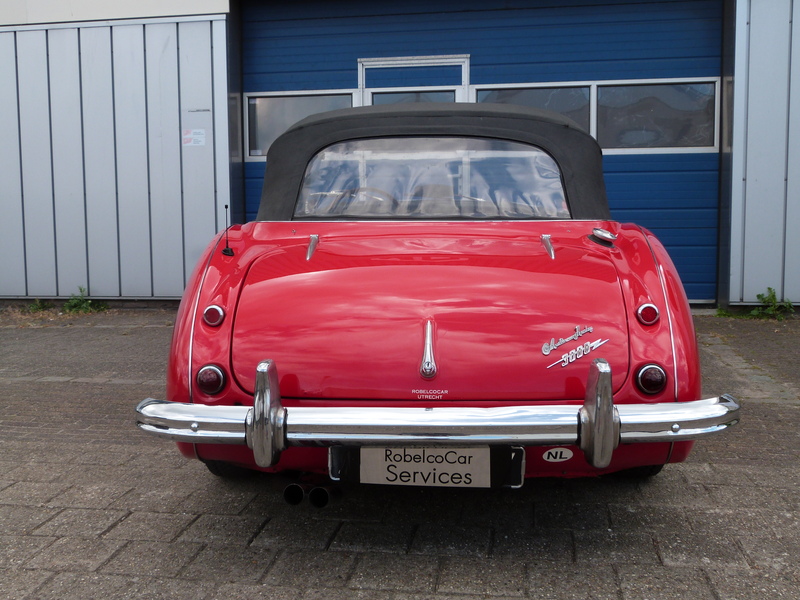 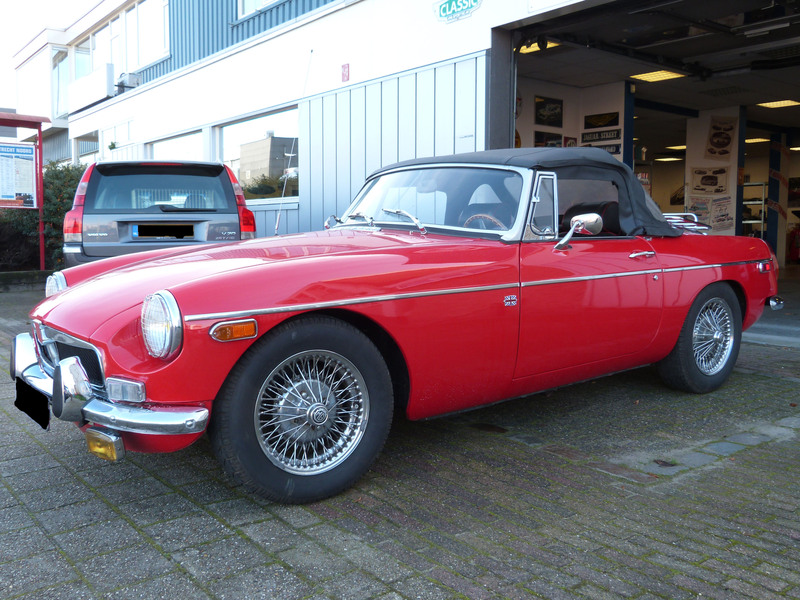 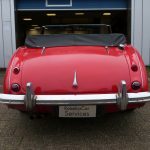 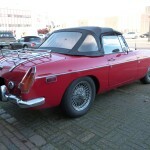 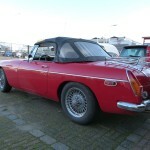 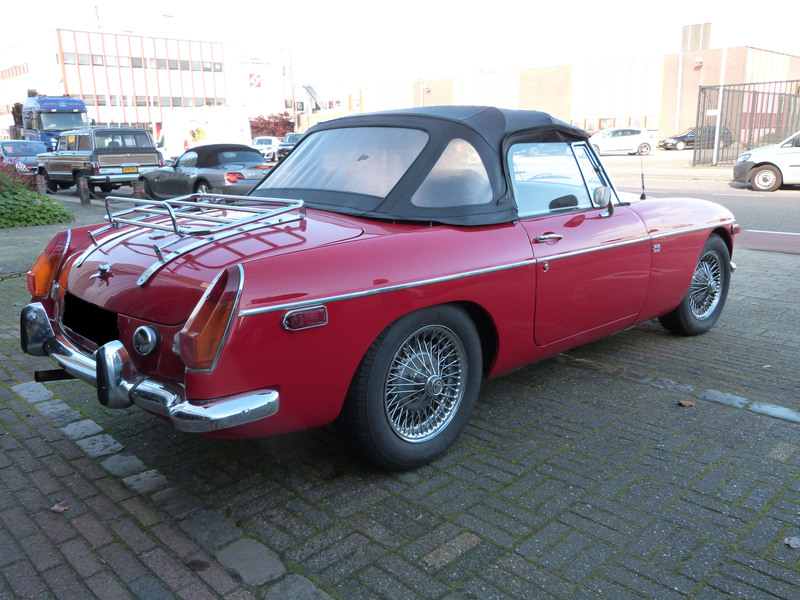 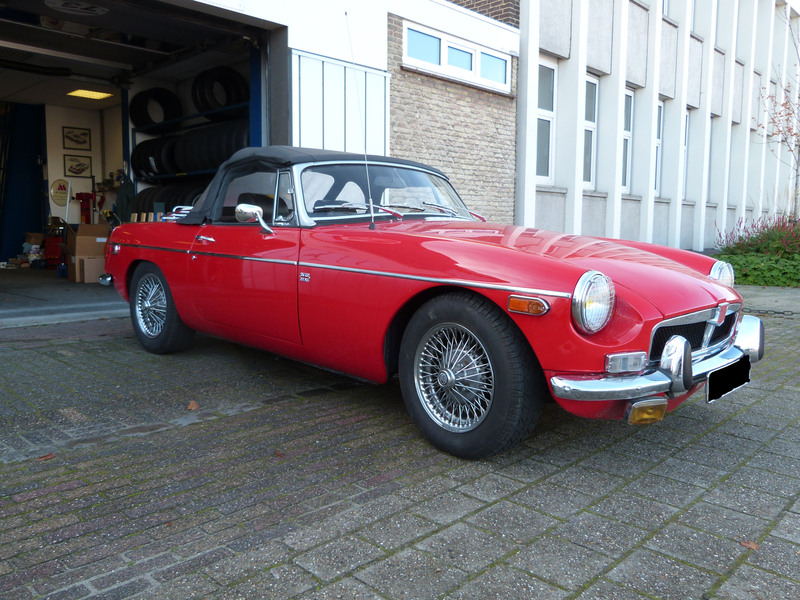 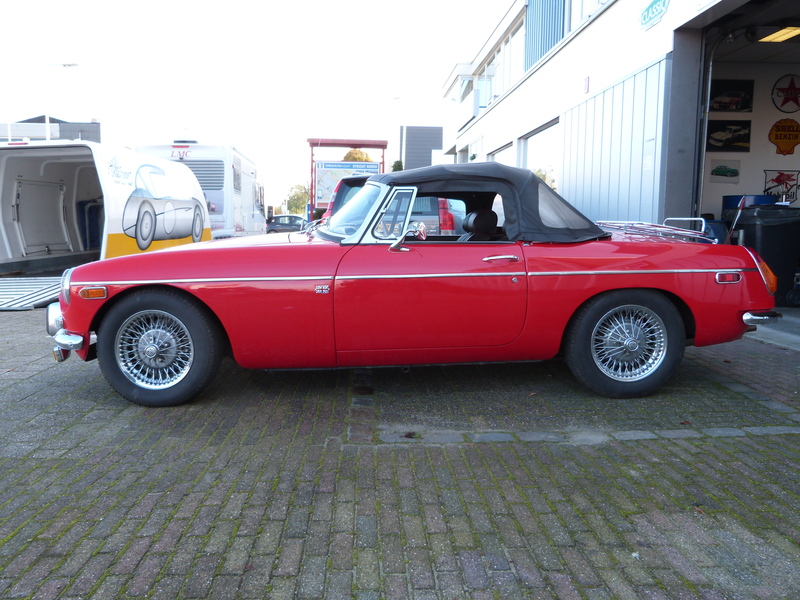 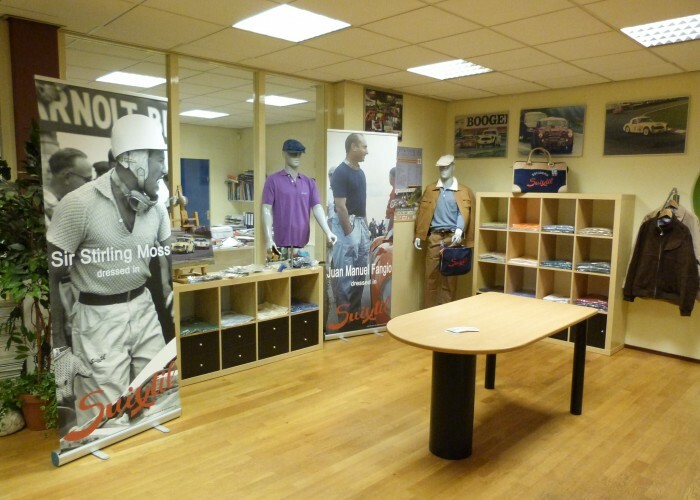 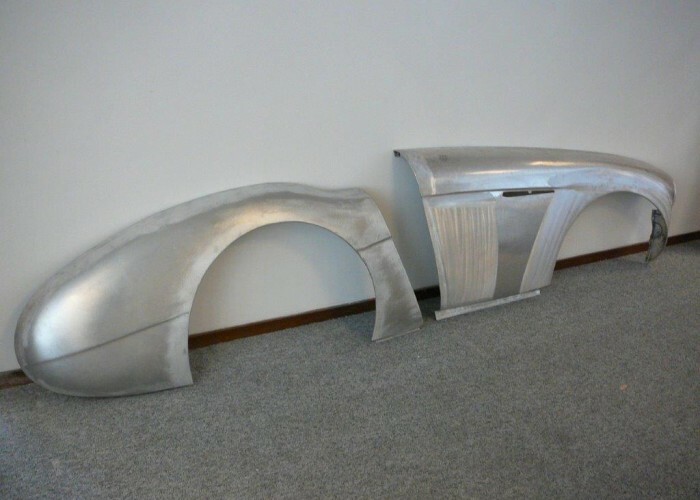 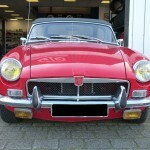 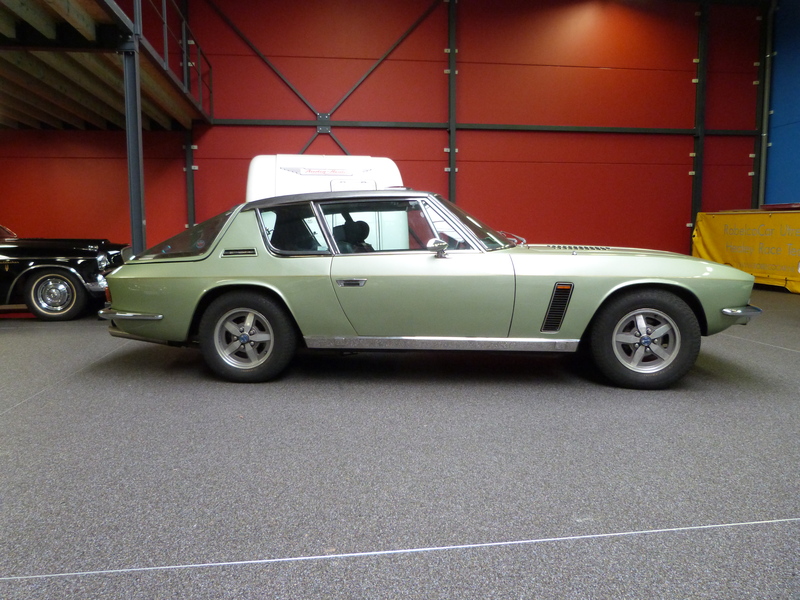 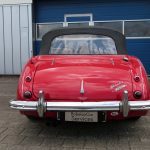 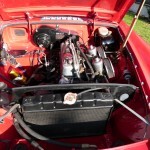 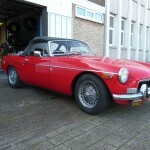 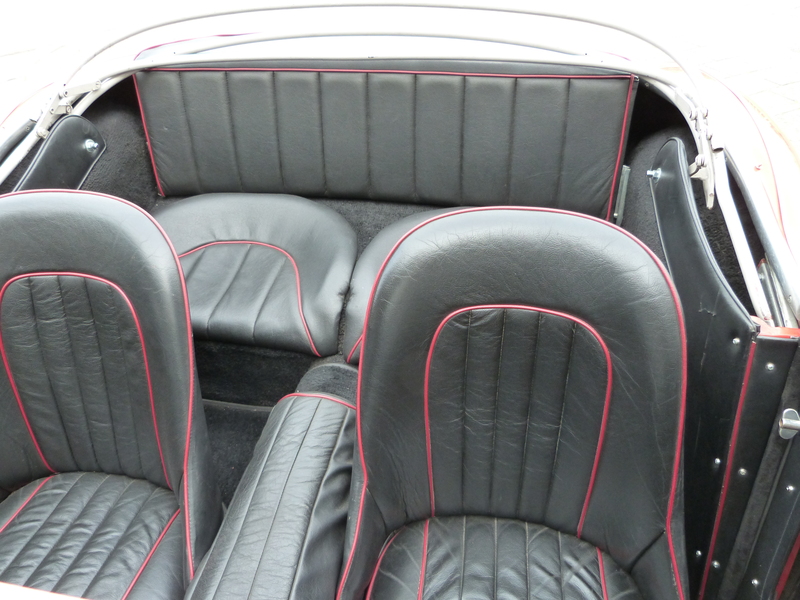 The car is being sold including hardtop, softtop, tonneaucover, bumpers, original seats etc. 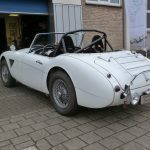 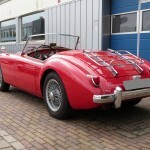 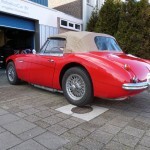 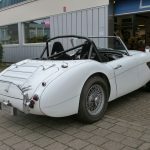 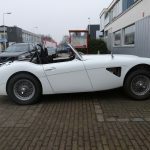 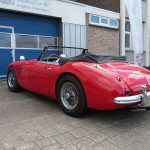 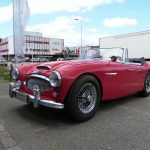 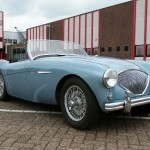 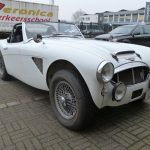 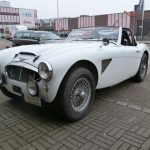 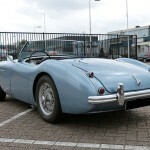 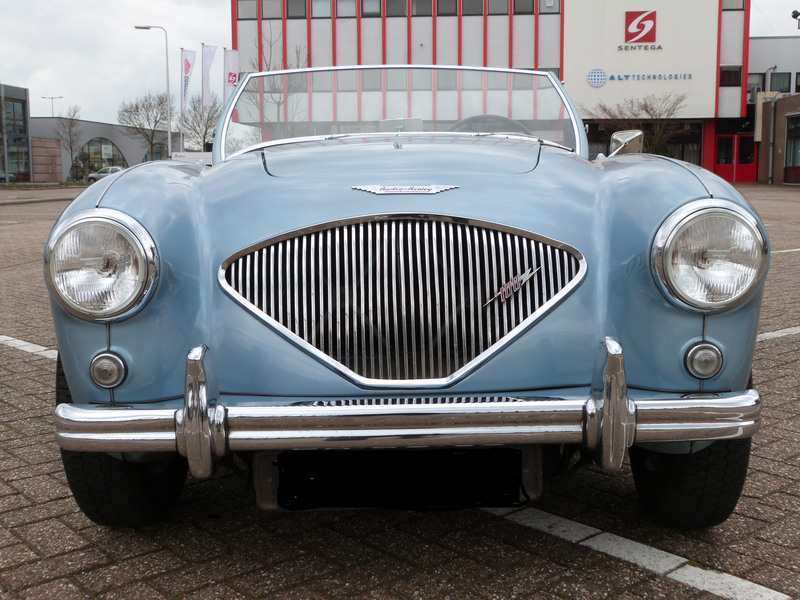 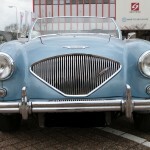 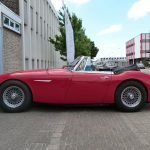 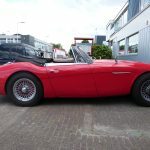 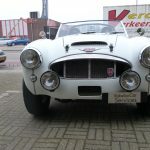 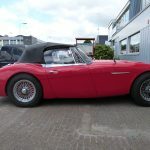 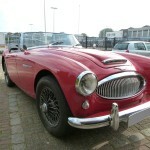 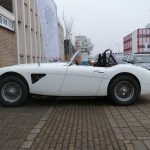 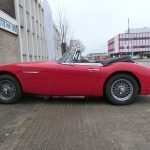 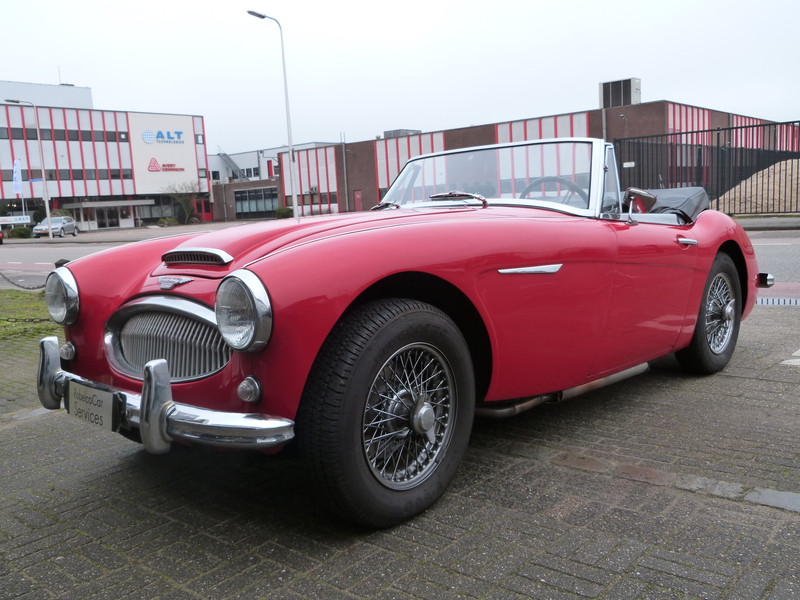 Nice, good driving Austin Healey 100/4 BN1. 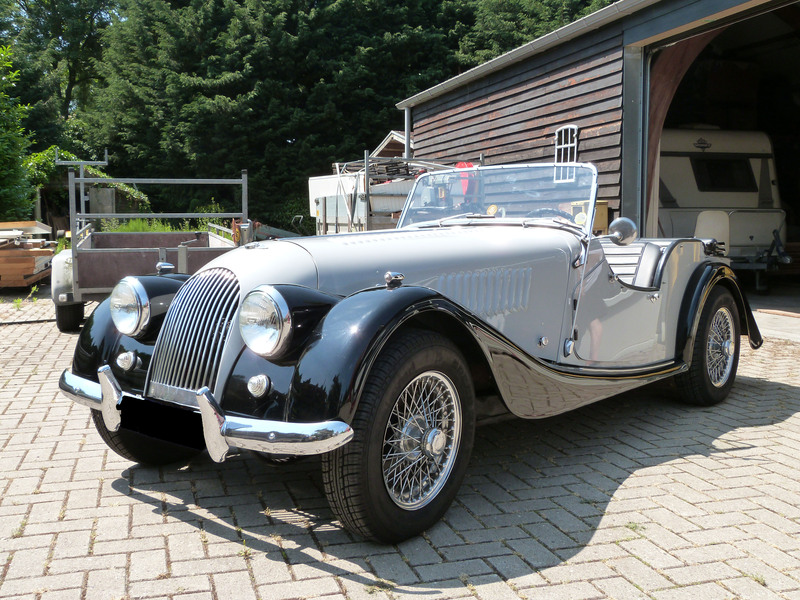 This BN1 is in a good condition. 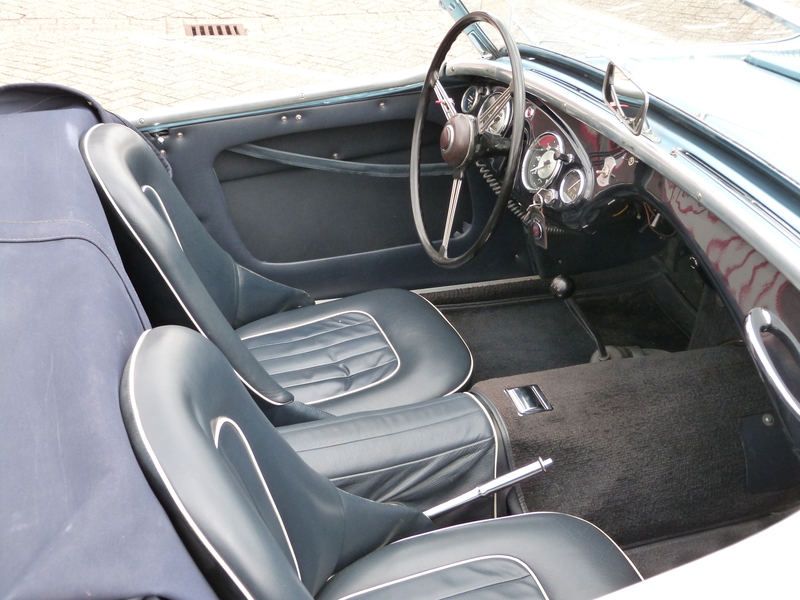 The car is iceblue with a blue interior, blue mohair hood and a blue mohair tonneau cover. 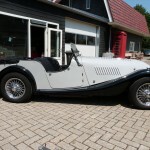 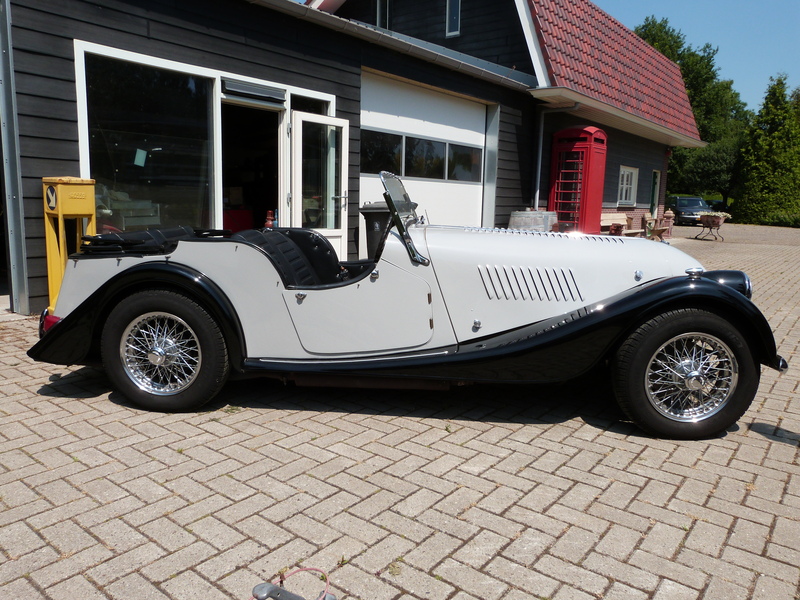 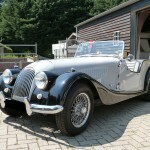 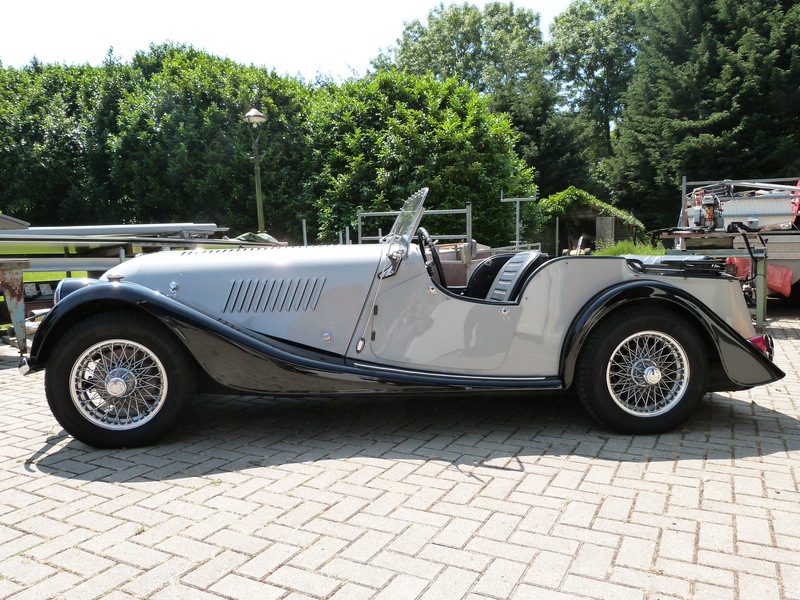 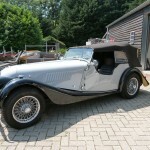 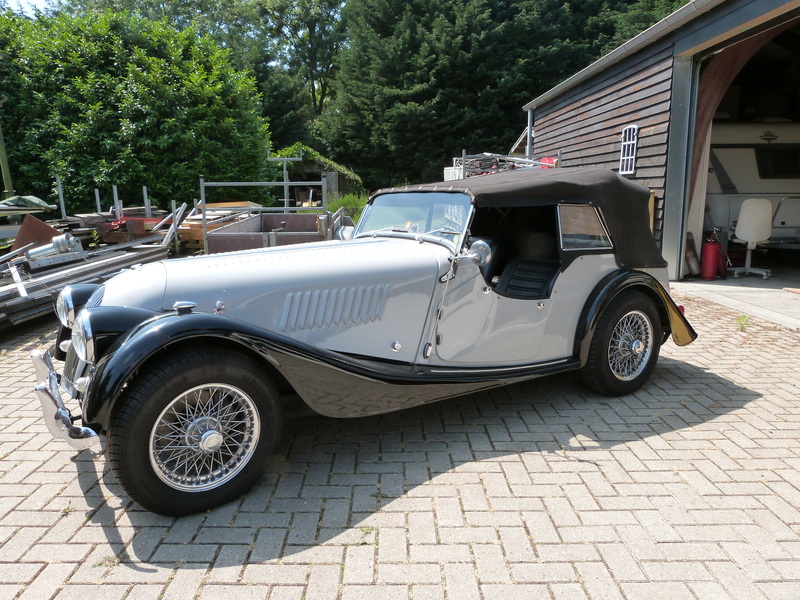 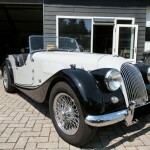 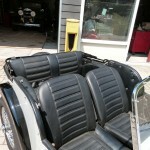 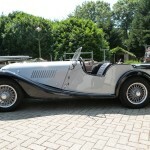 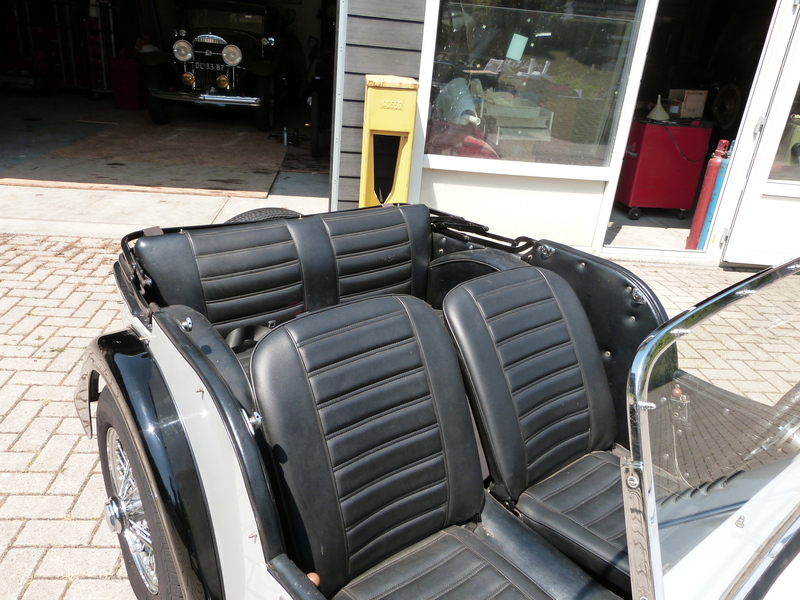 Very nice grey/black Morgan +4 in good condition. 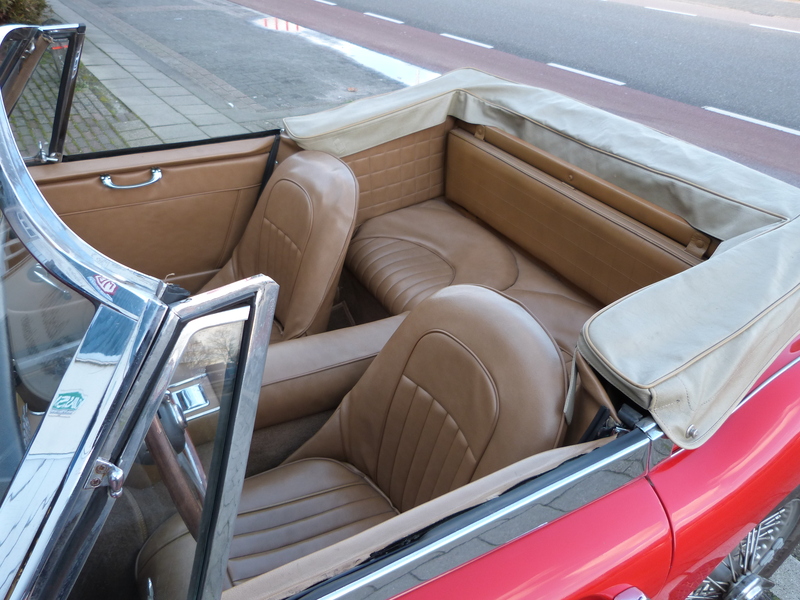 Complete with softtop, sidescreens and tonneaucover. 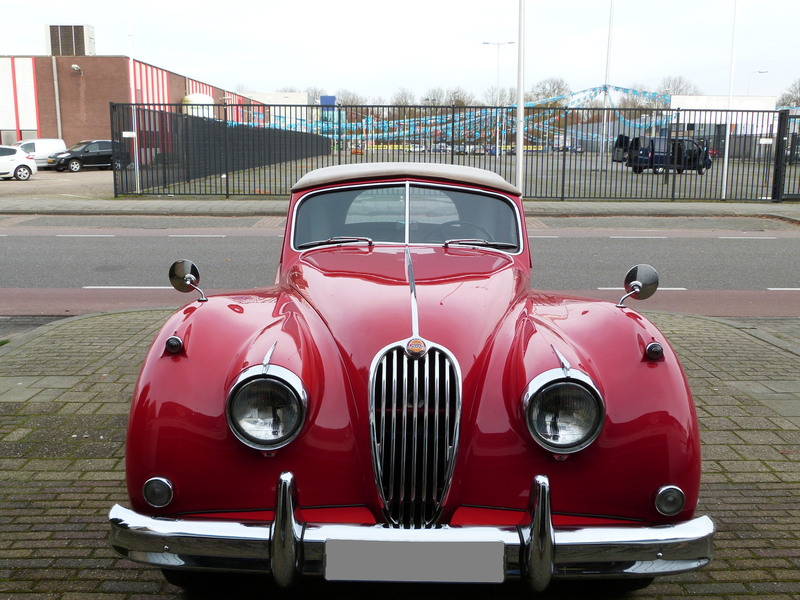 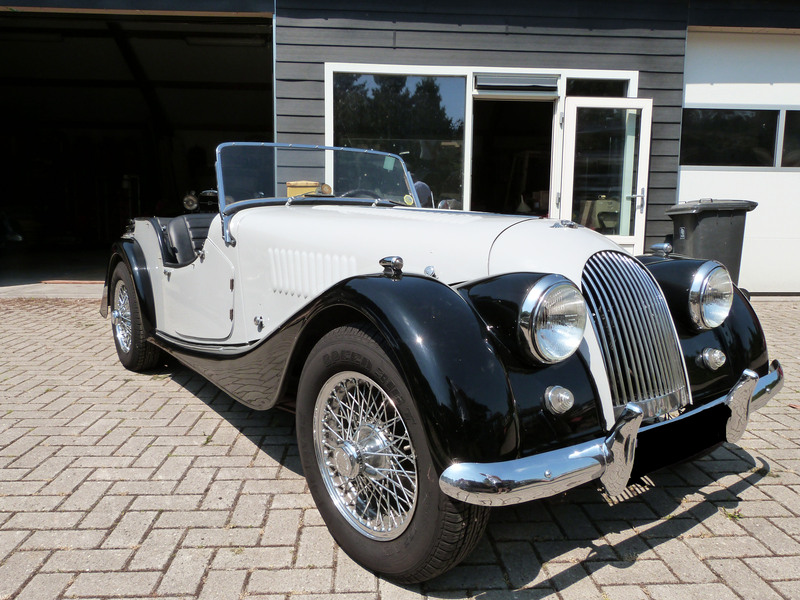 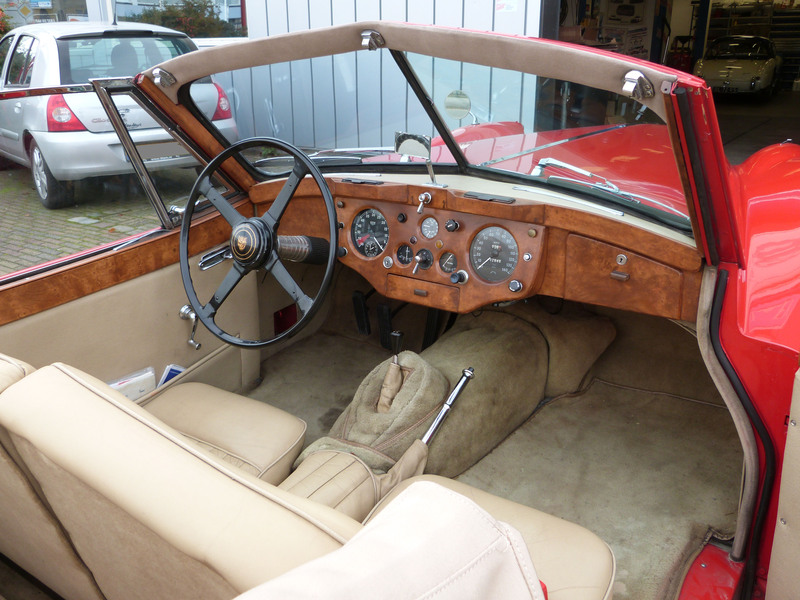 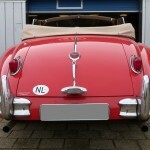 Very nice XK140 DHC. 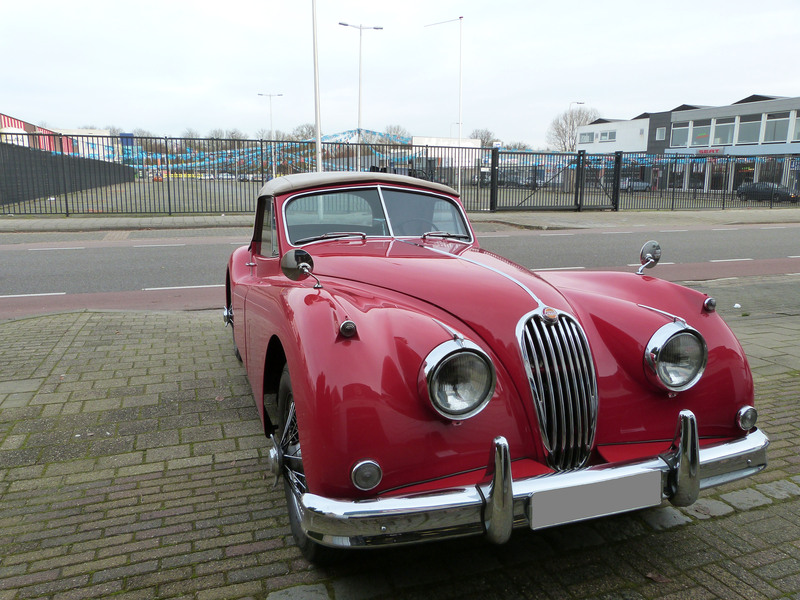 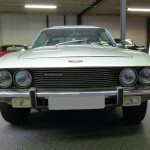 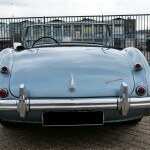 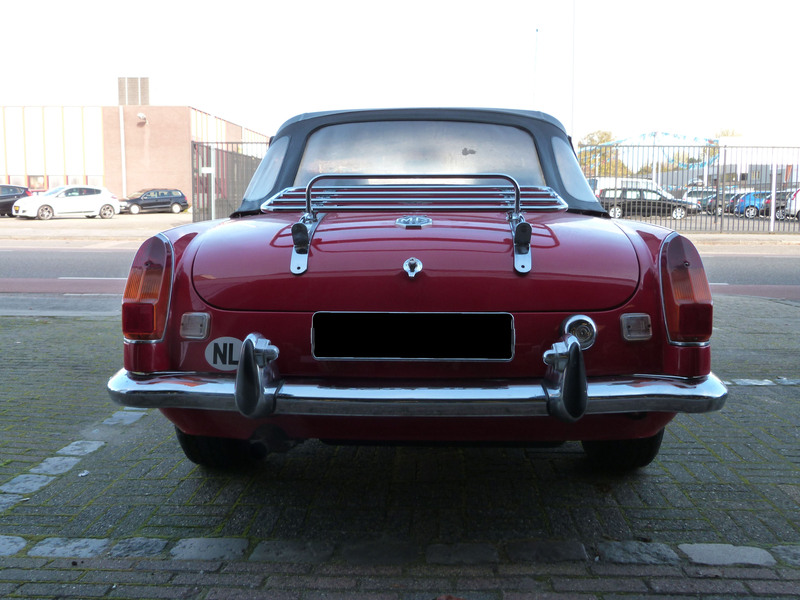 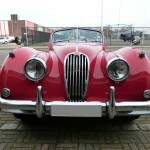 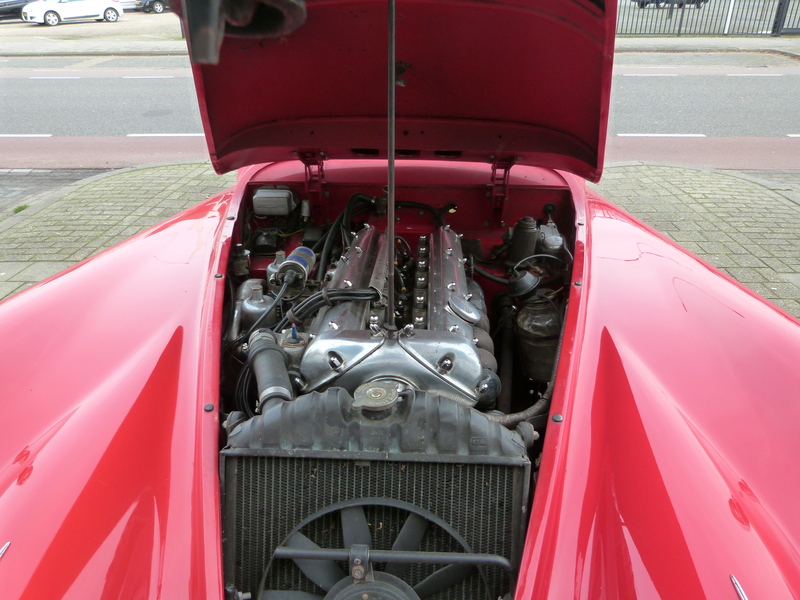 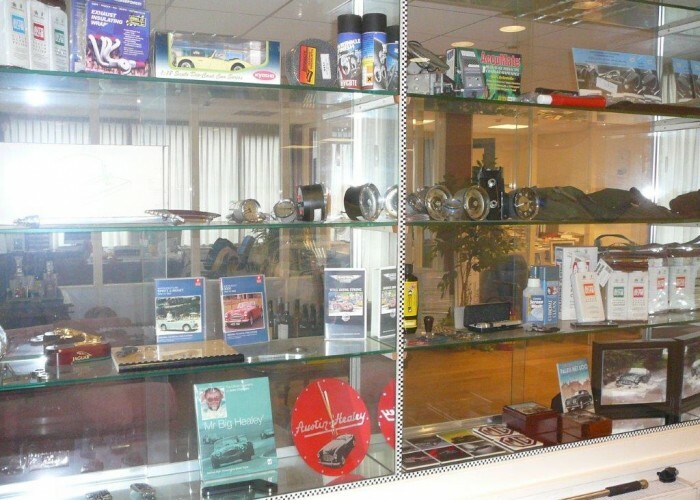 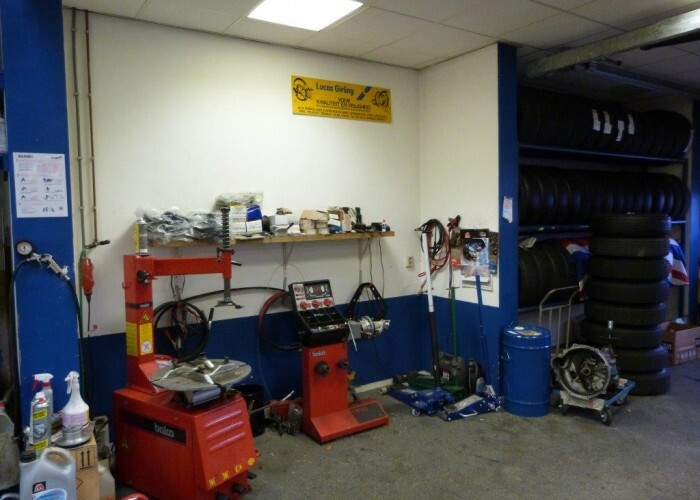 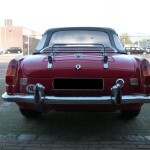 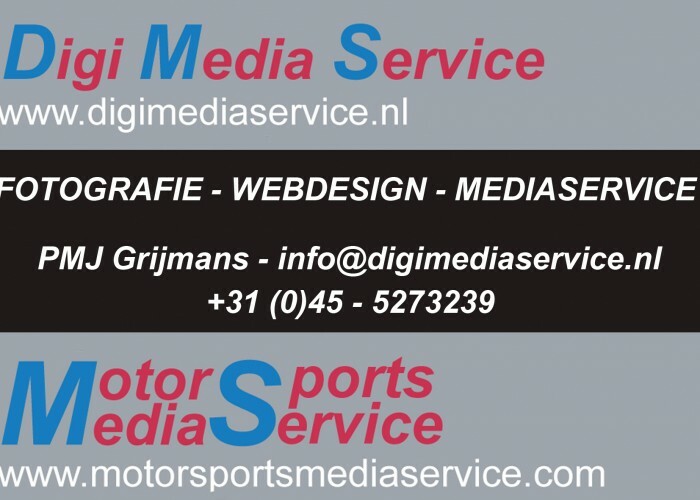 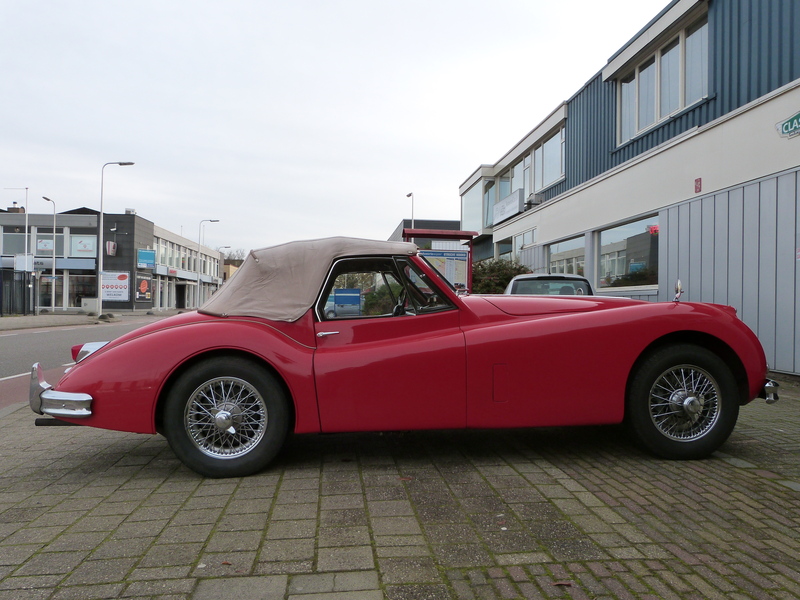 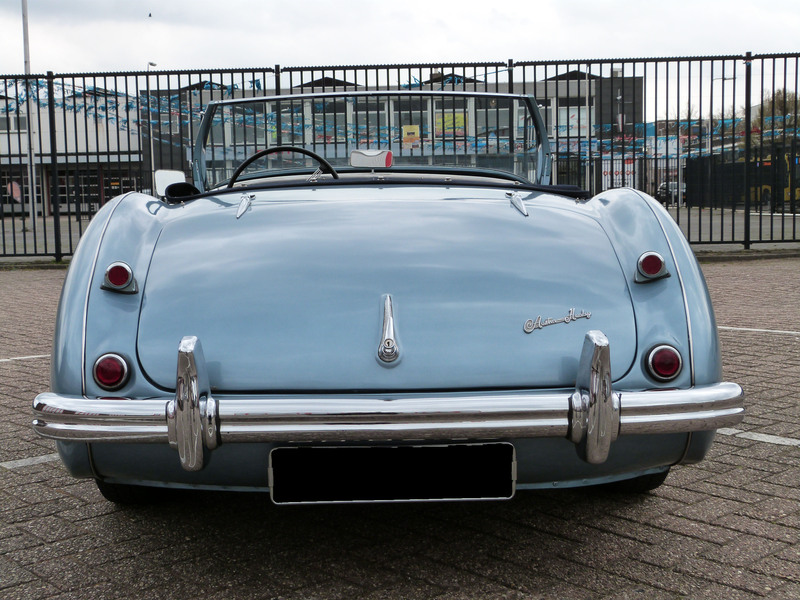 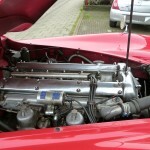 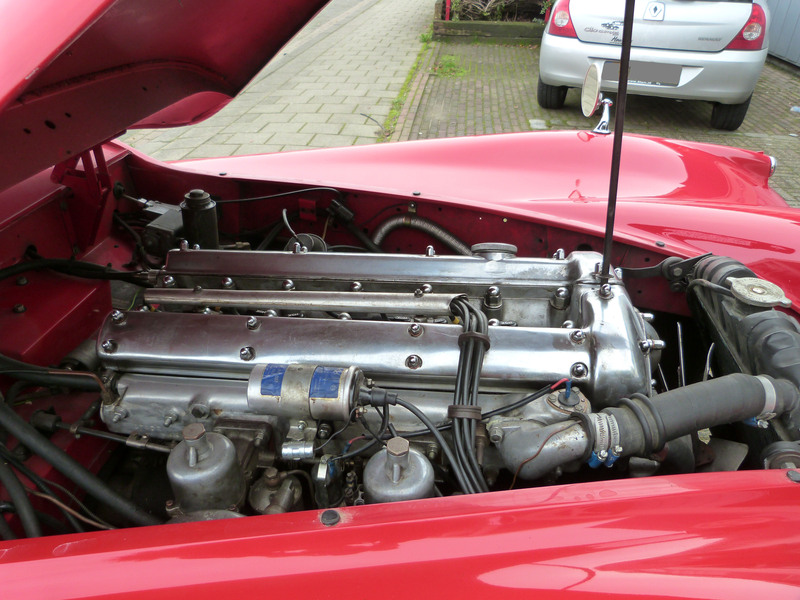 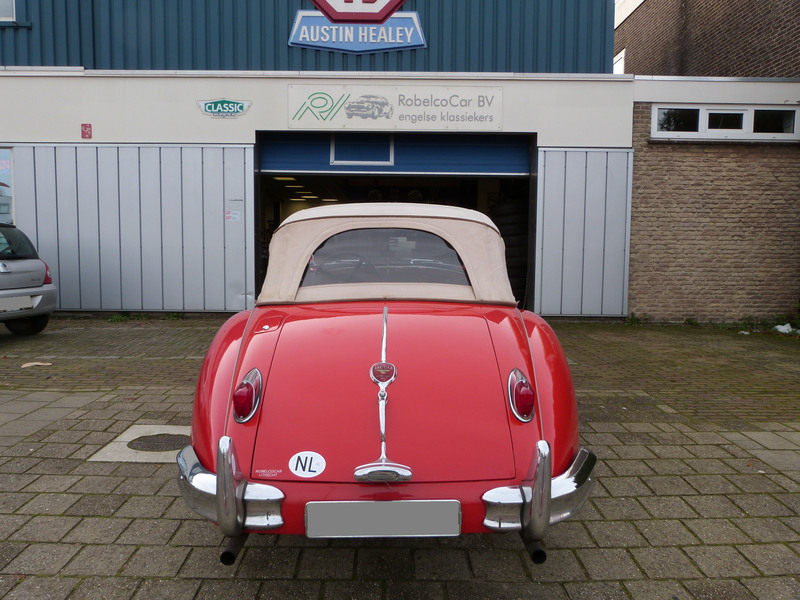 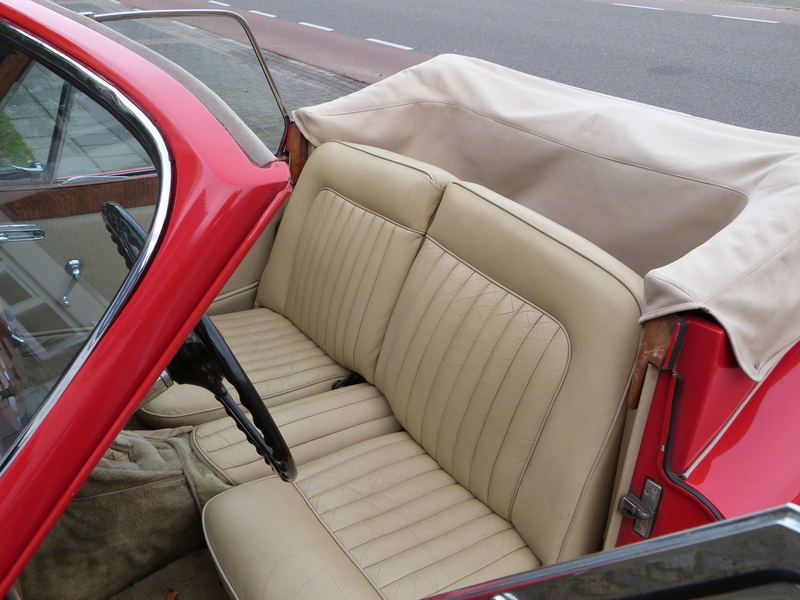 The car has been imported in the Netherlands in 1999 and has had one owner since. 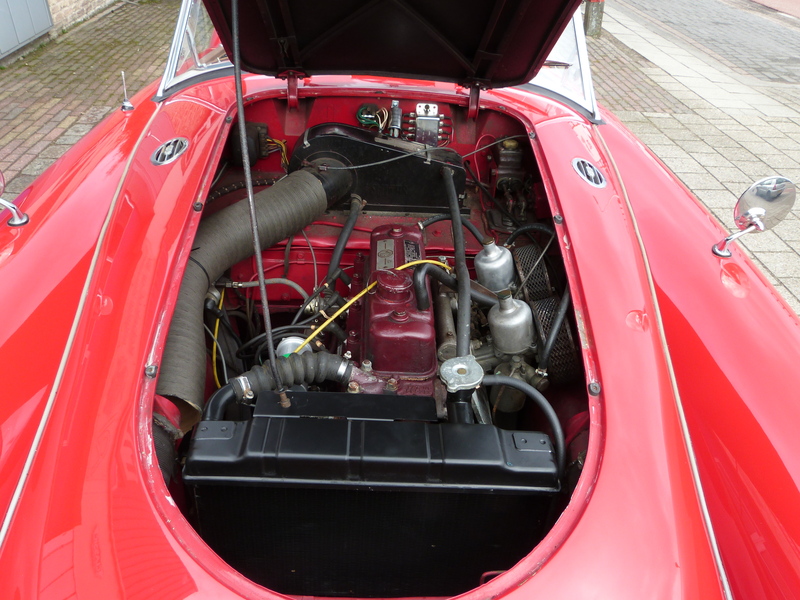 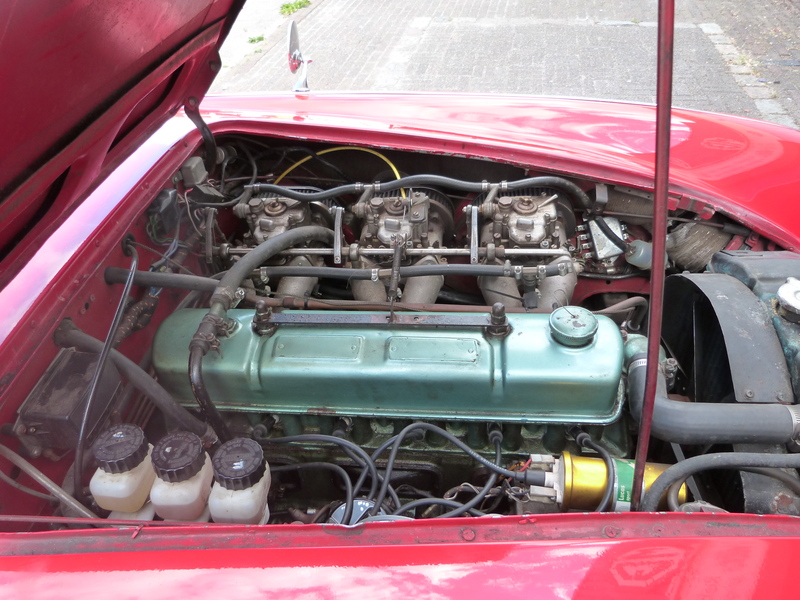 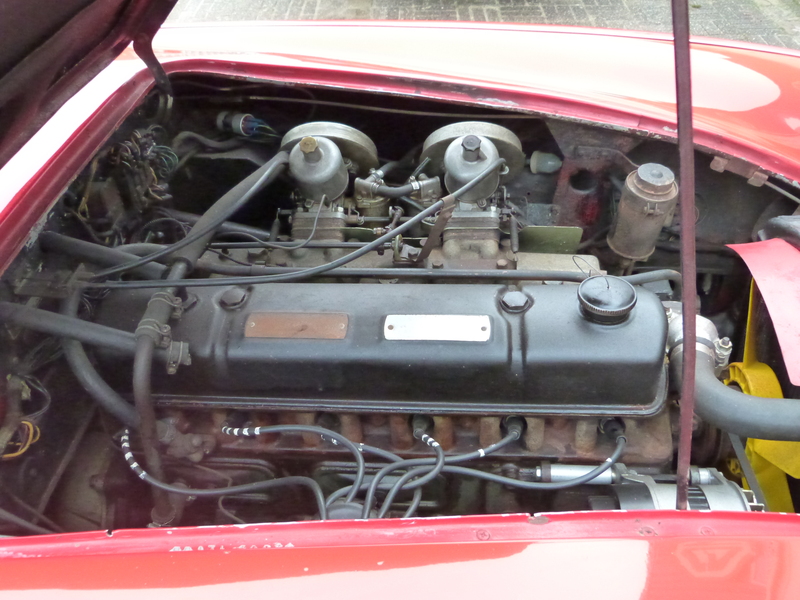 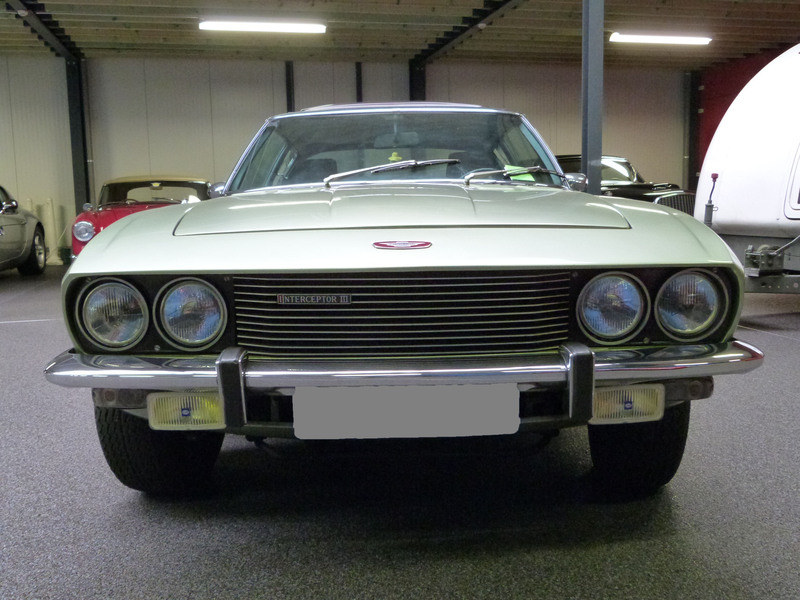 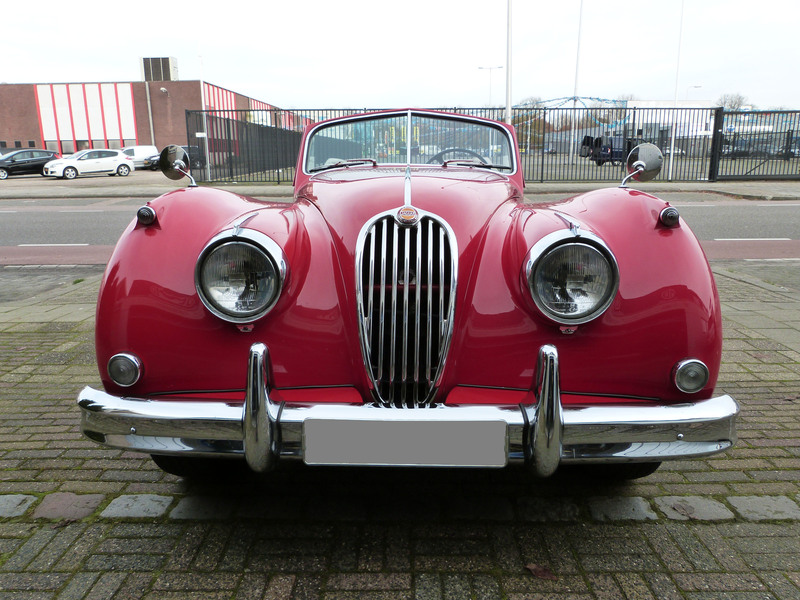 This Jaguar is optical and technical in a very good condition. 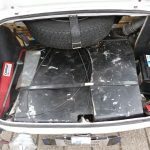 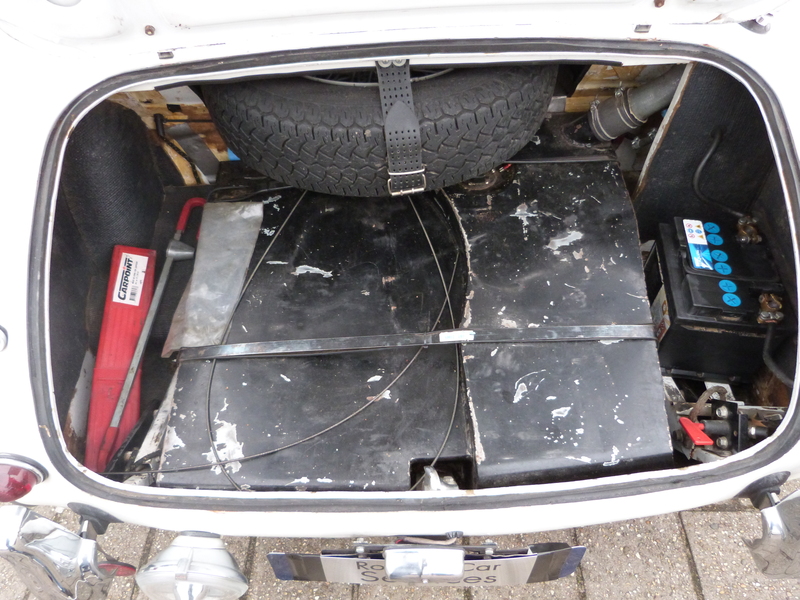 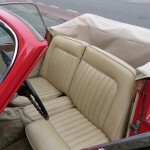 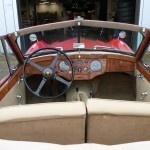 The car has a mohair hood and a mohair tonneau cover. 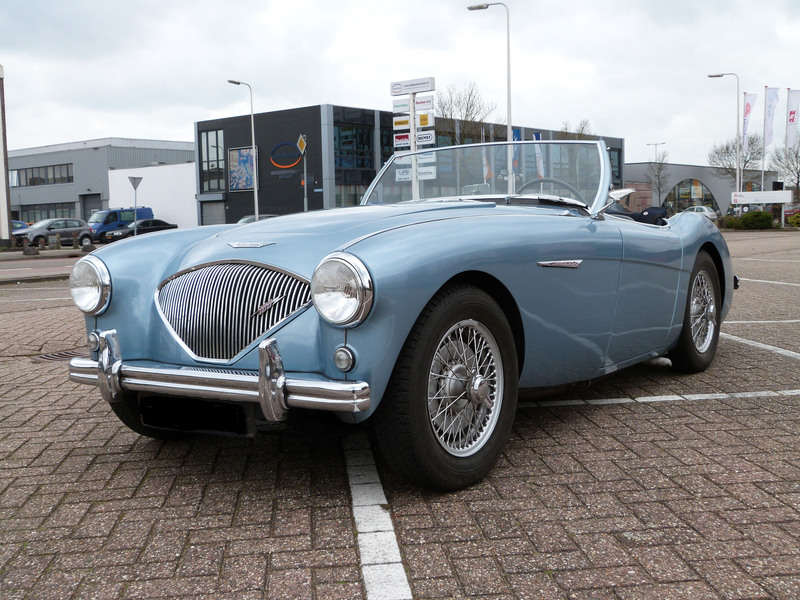 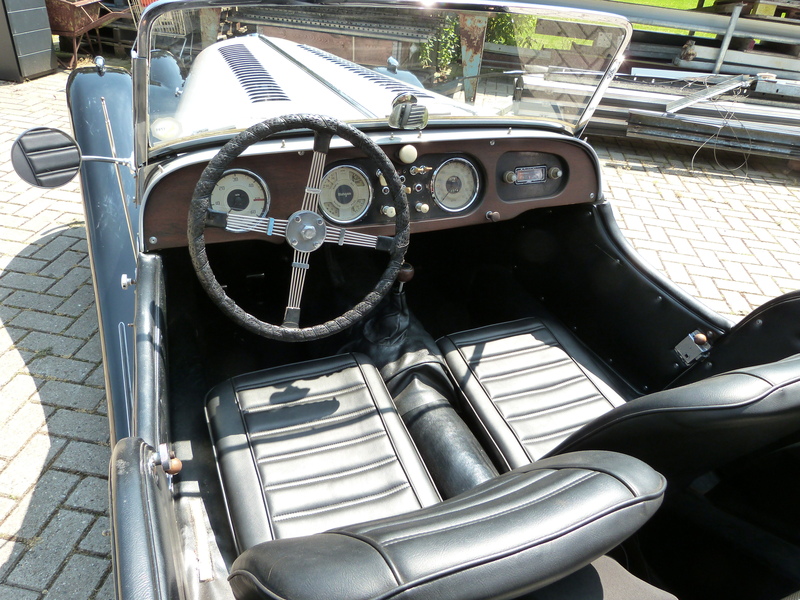 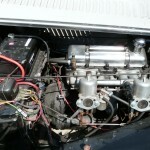 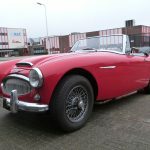 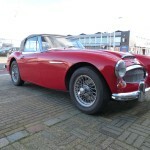 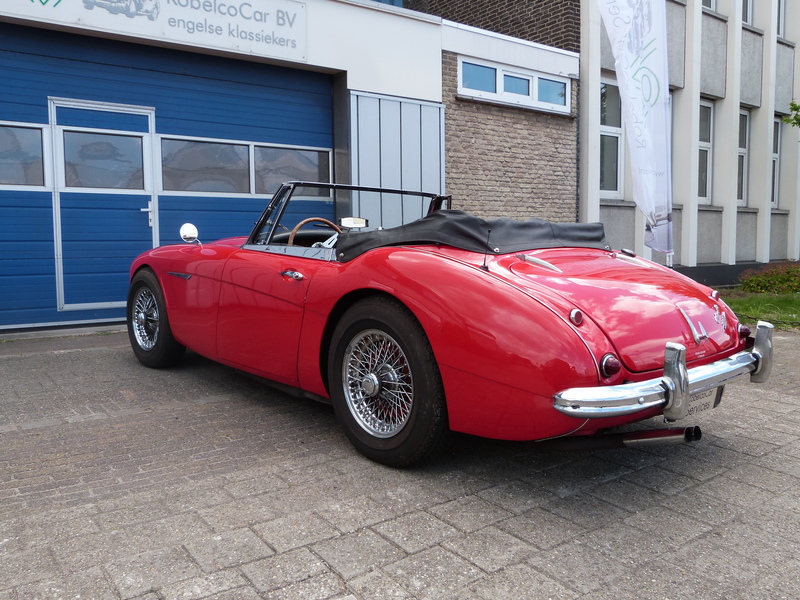 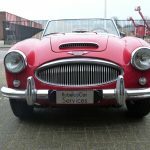 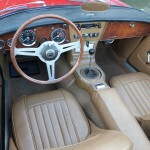 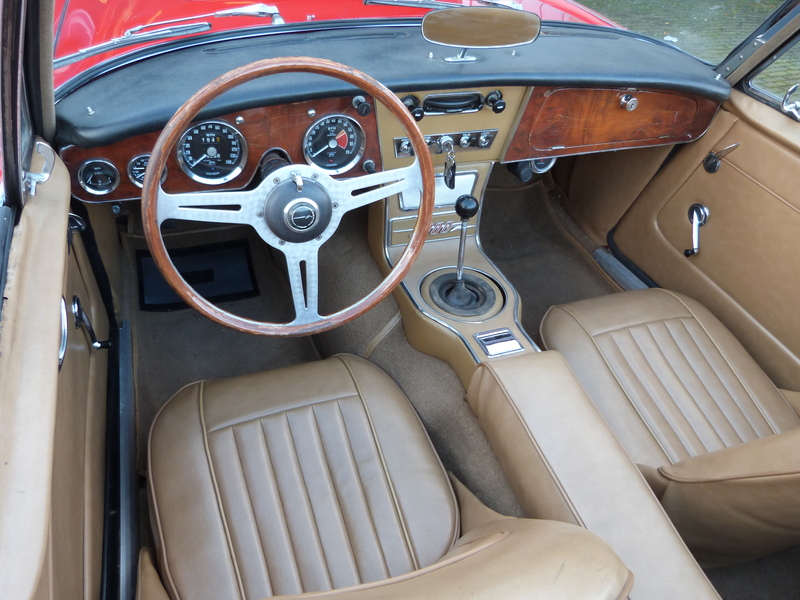 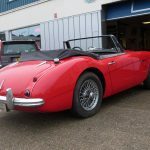 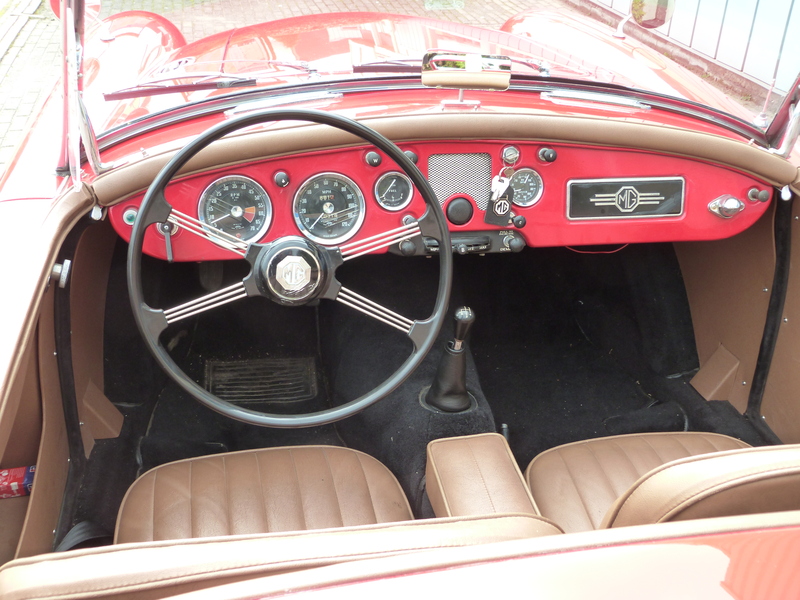 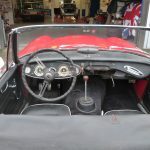 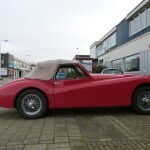 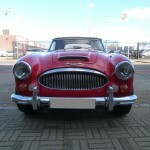 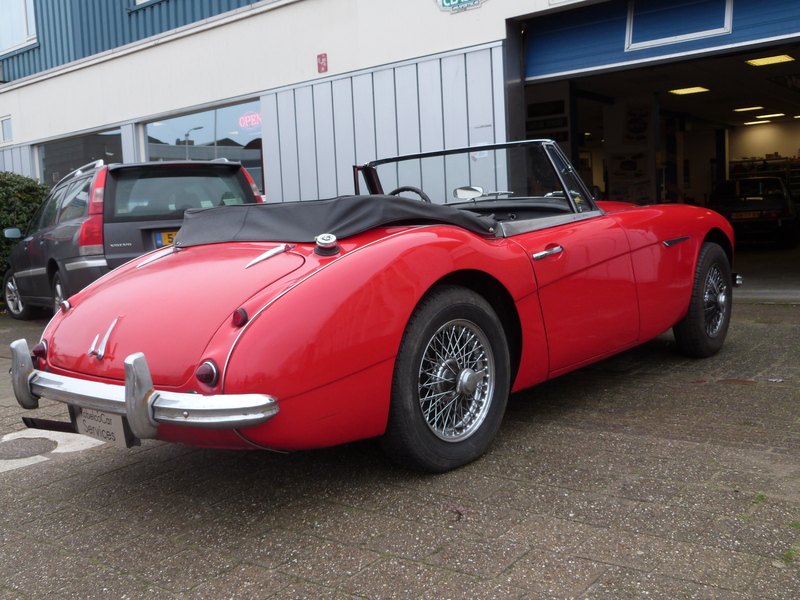 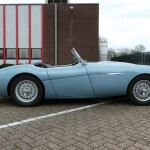 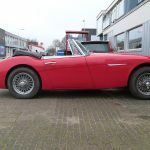 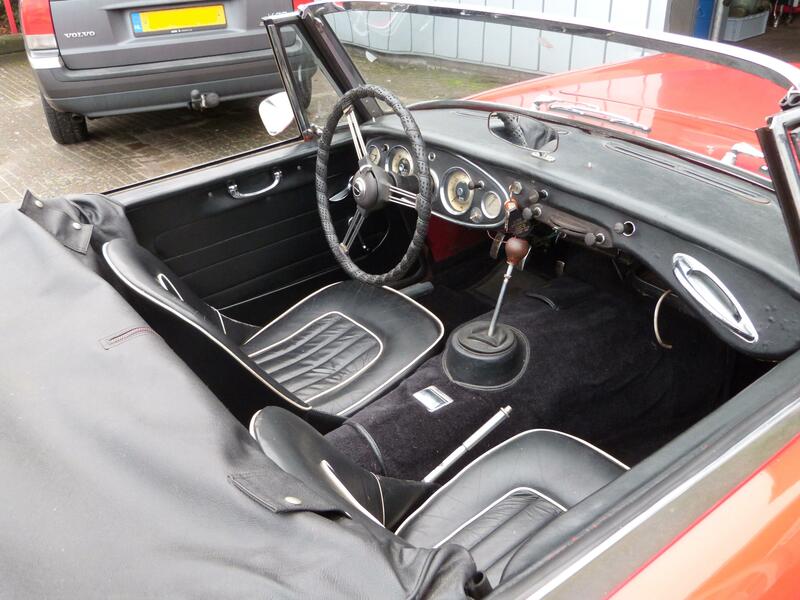 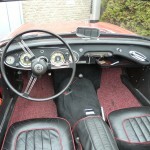 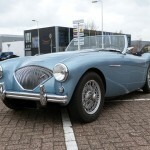 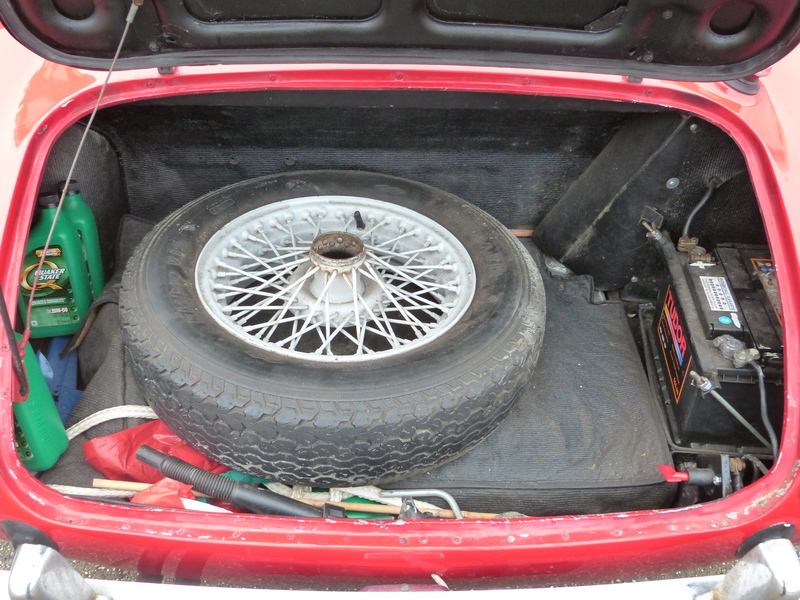 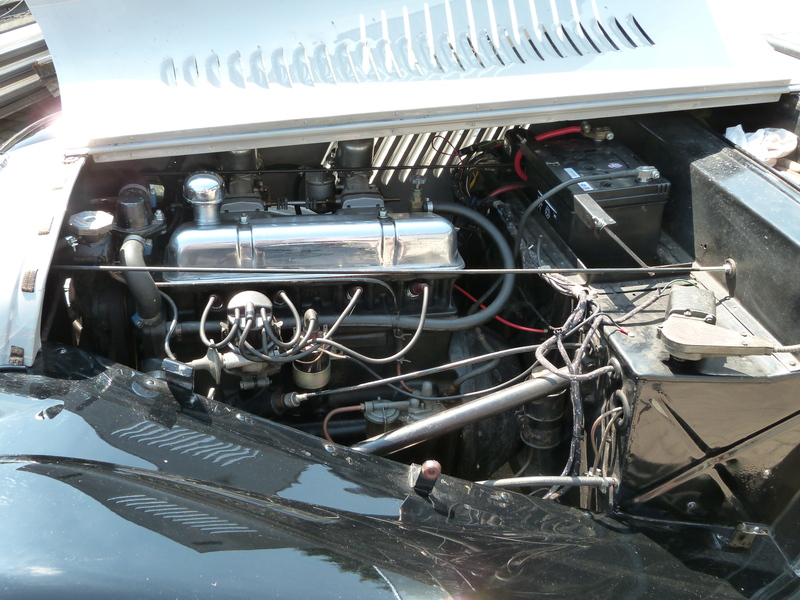 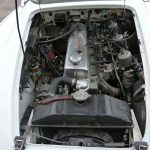 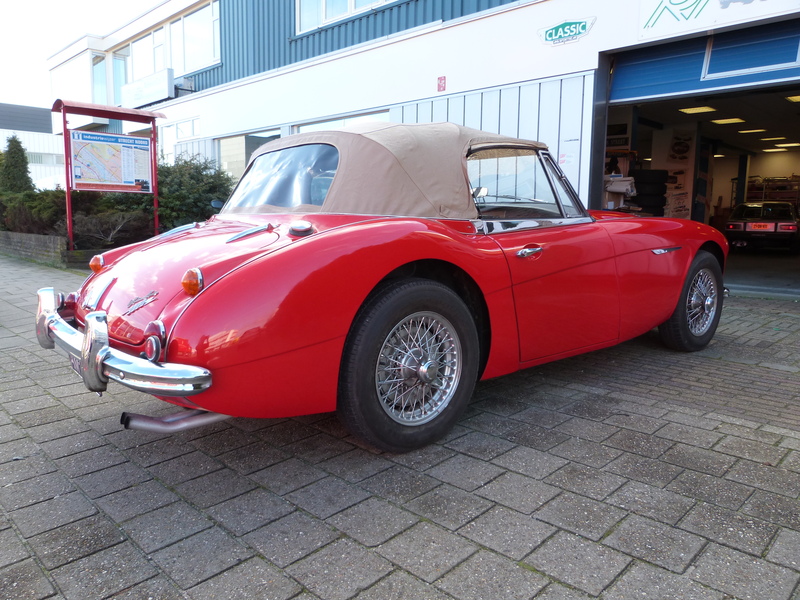 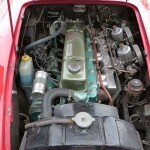 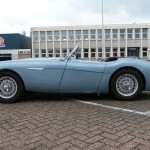 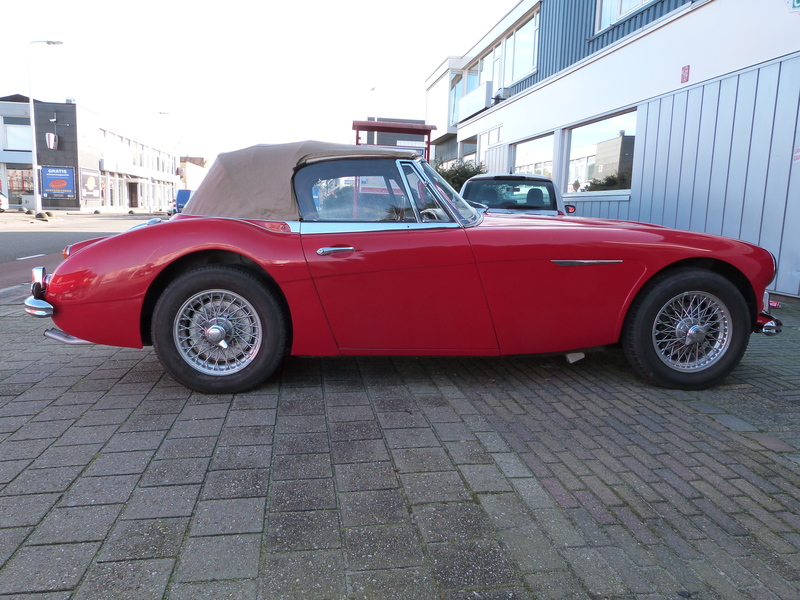 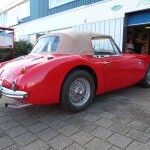 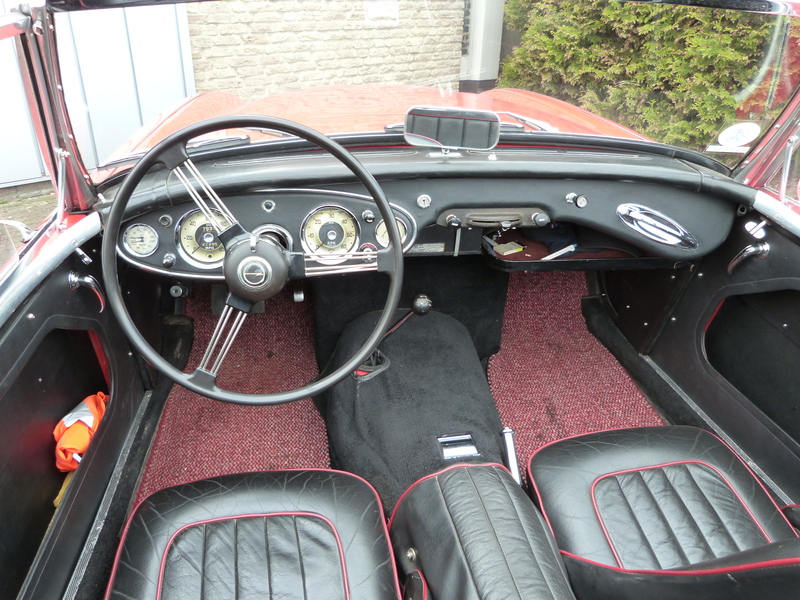 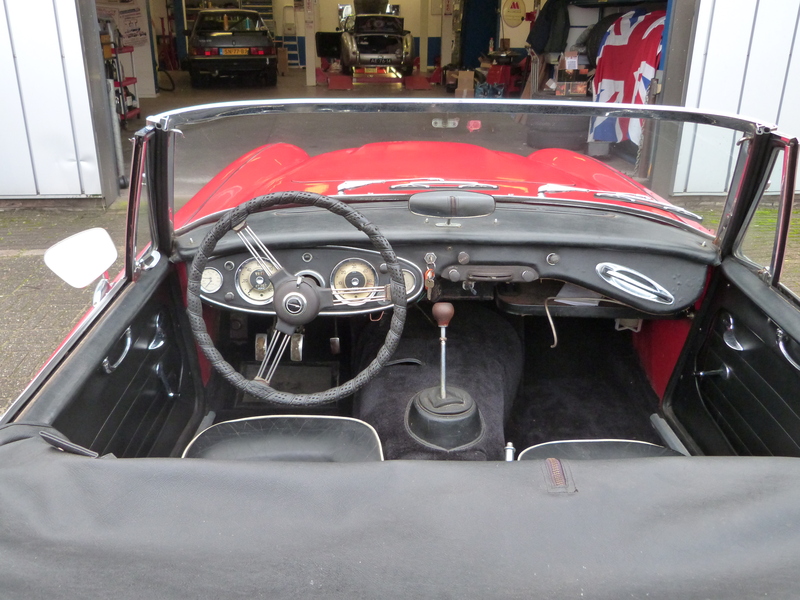 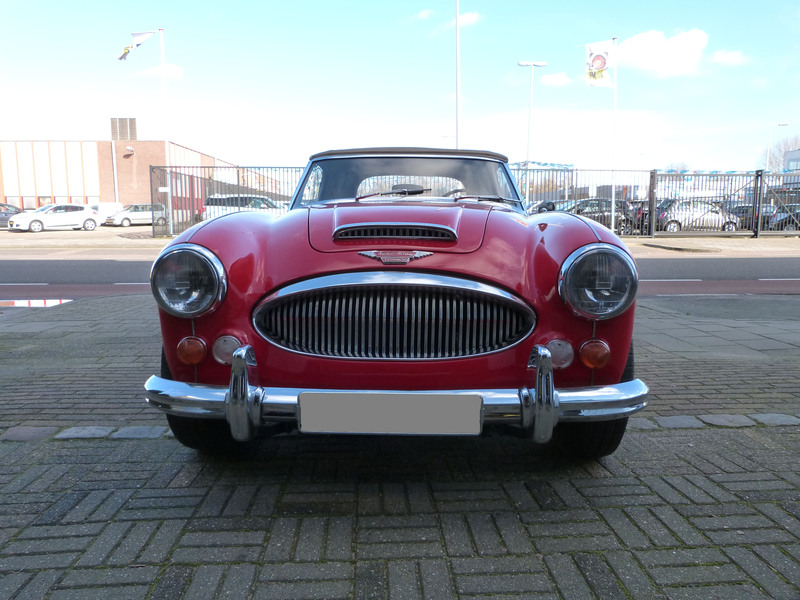 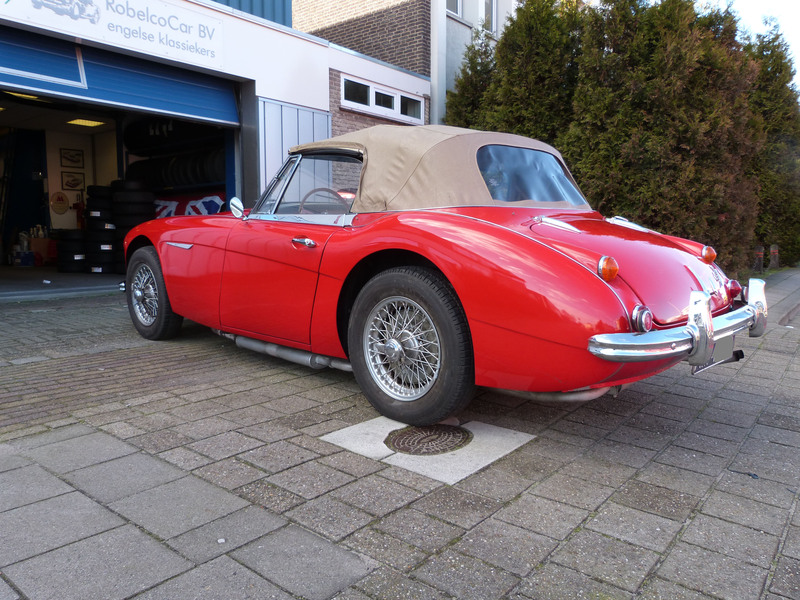 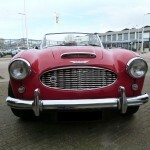 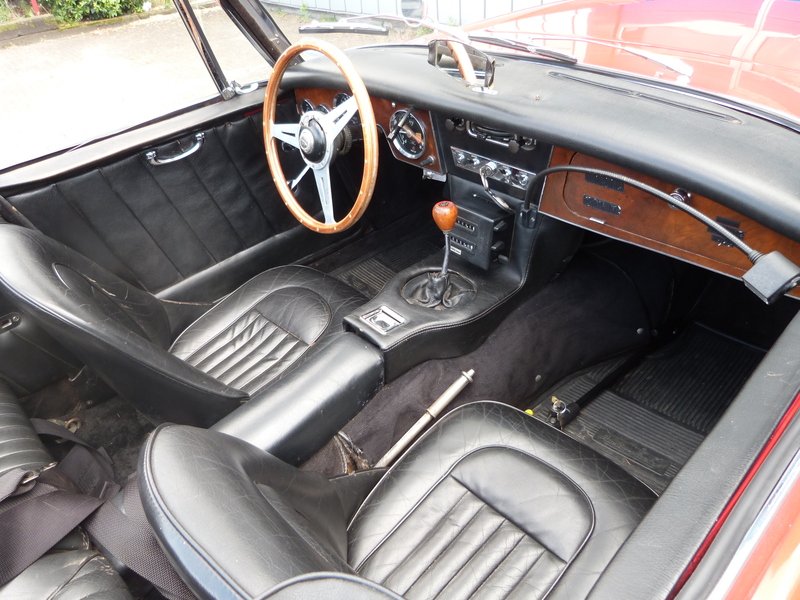 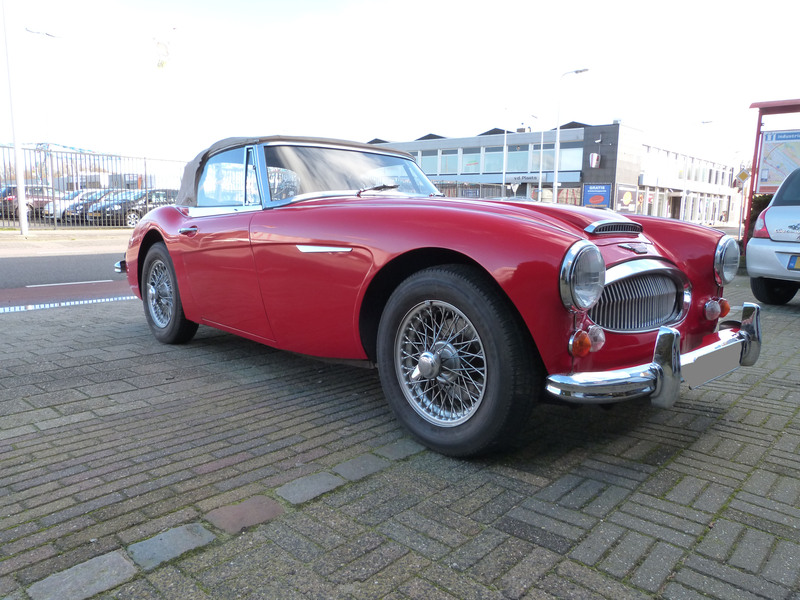 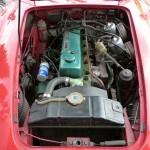 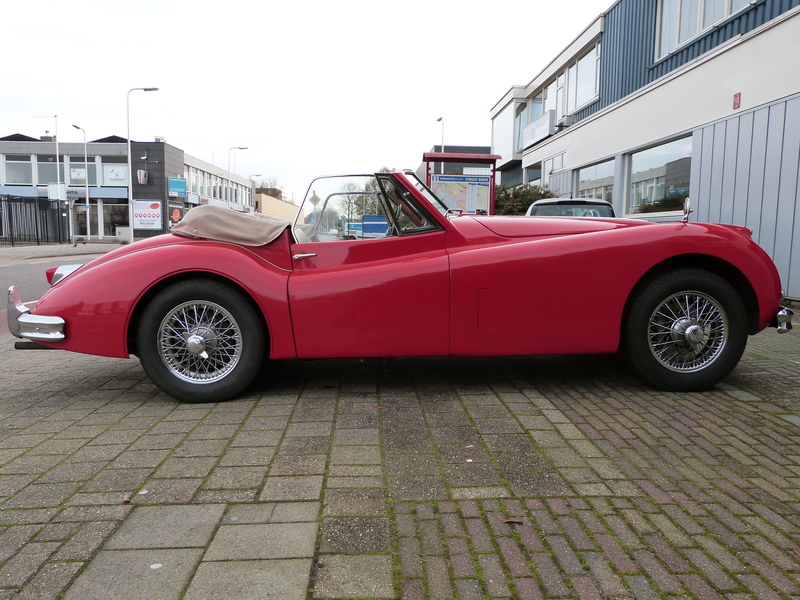 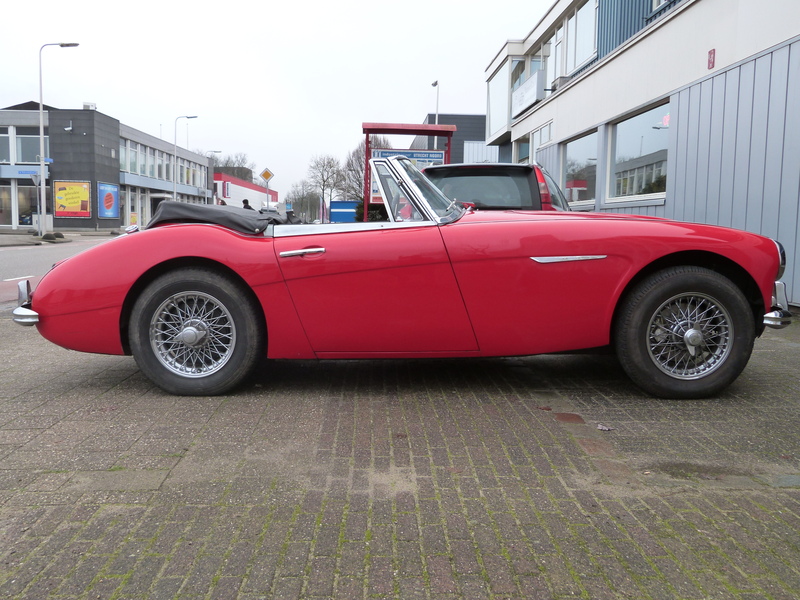 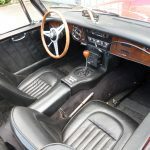 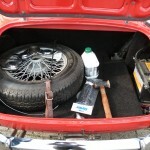 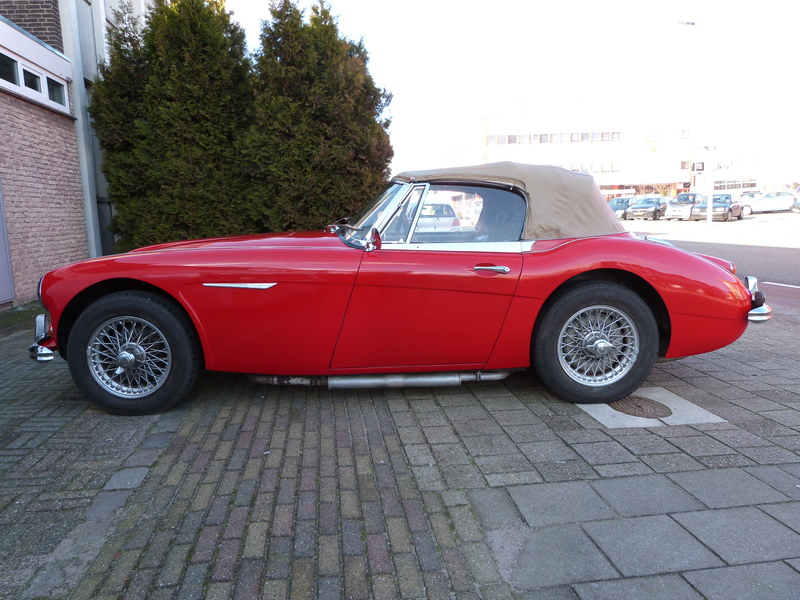 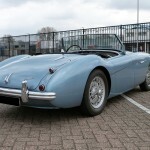 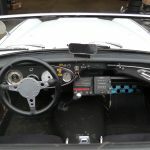 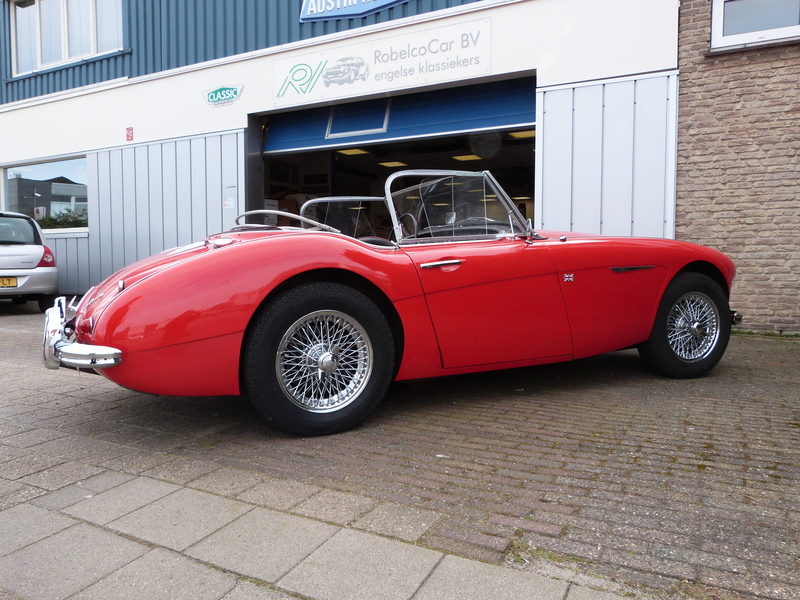 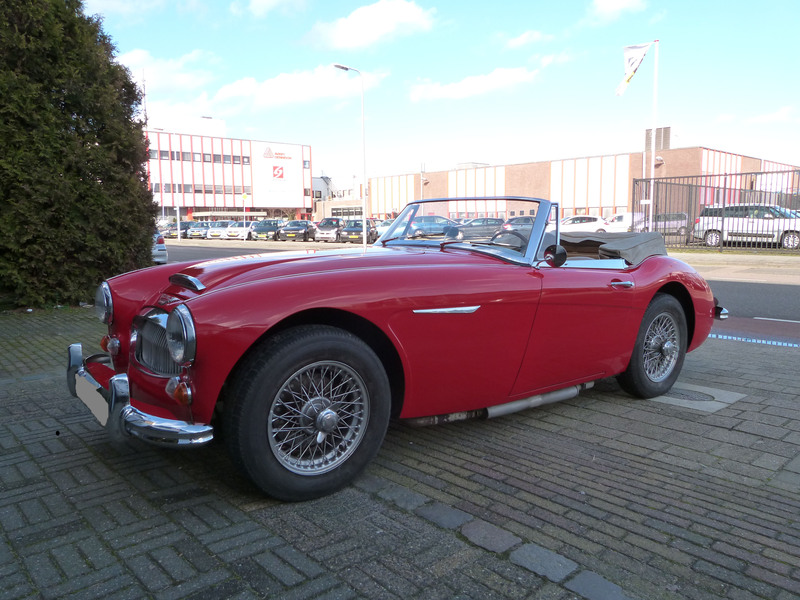 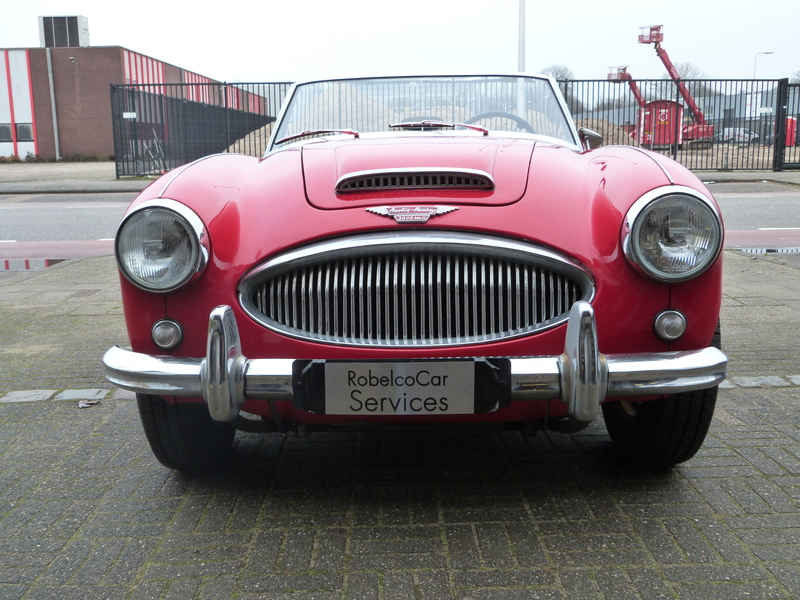 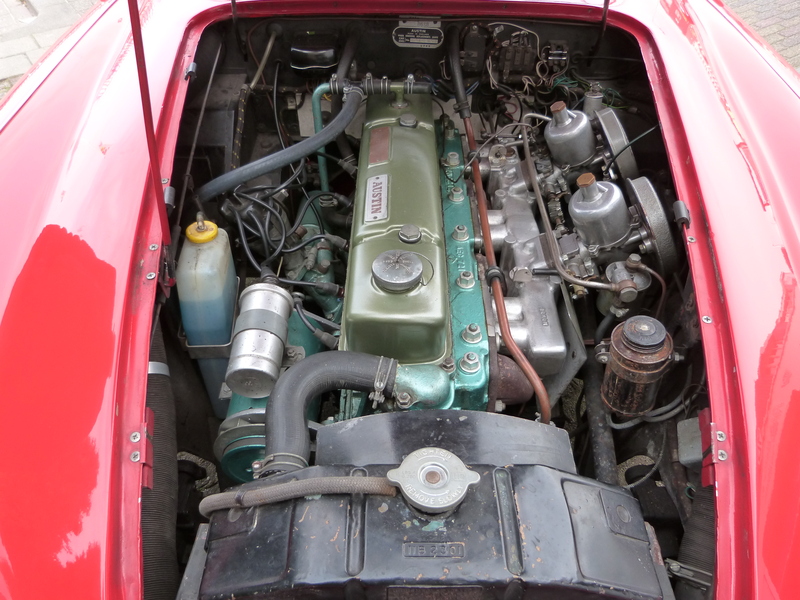 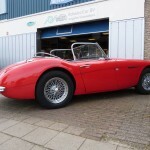 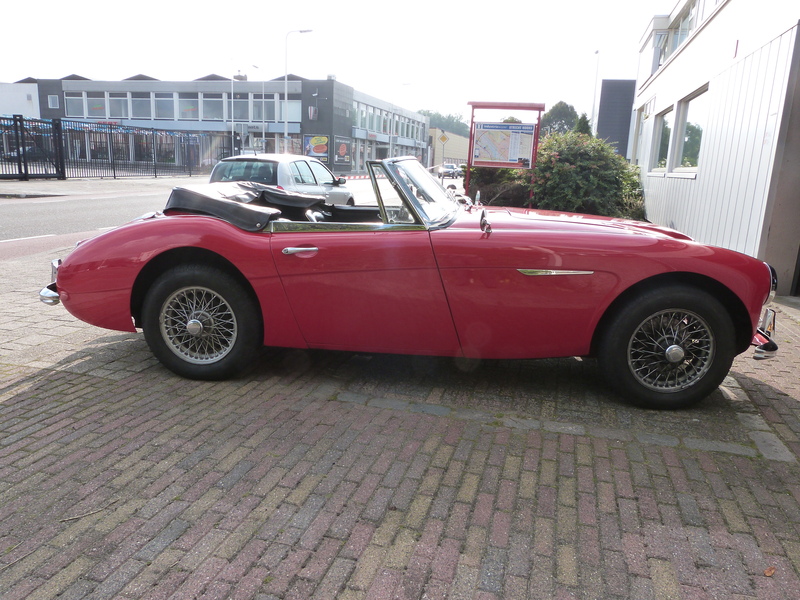 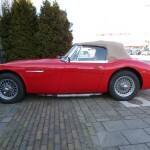 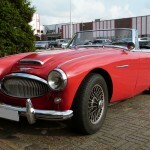 Nice, very good driving Austin Healey MKIII with recent MOT. 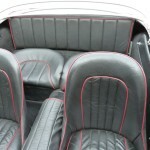 The car is red with a black interior. 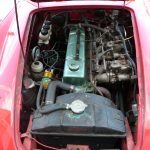 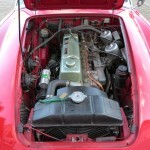 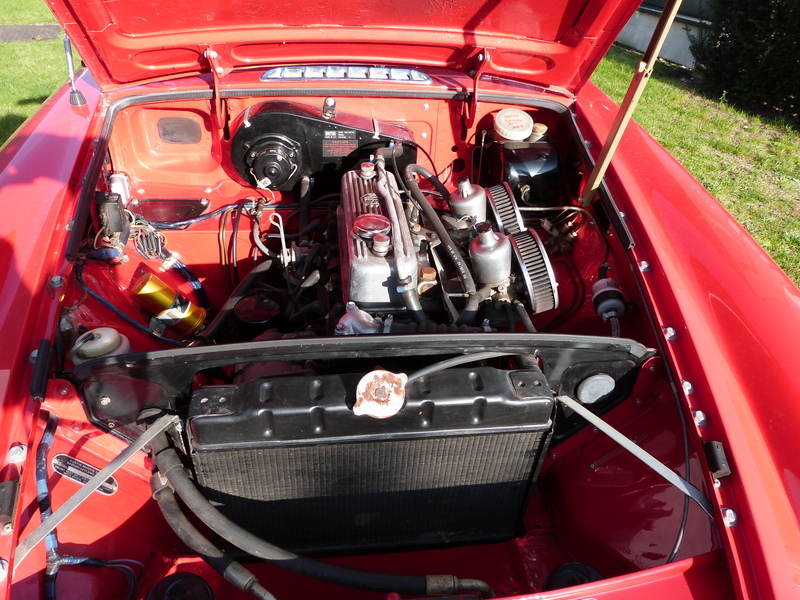 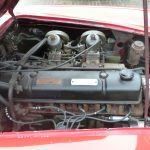 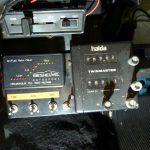 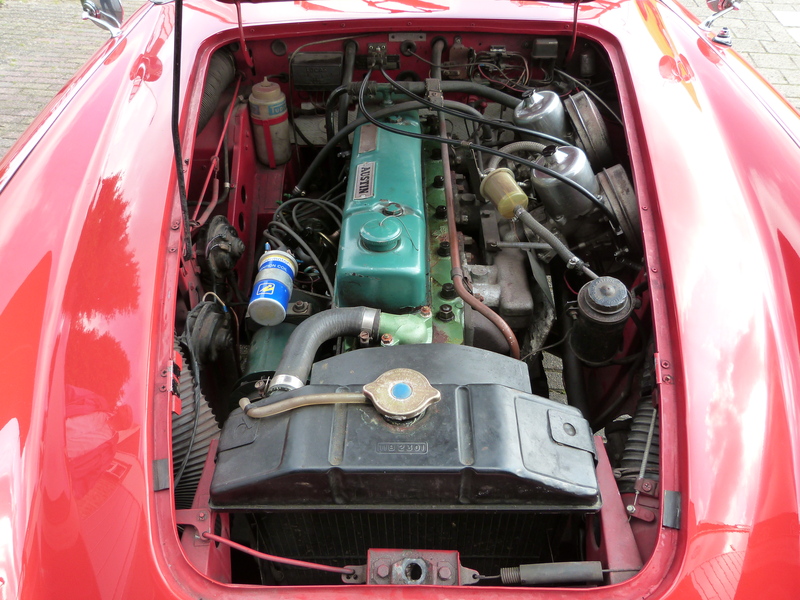 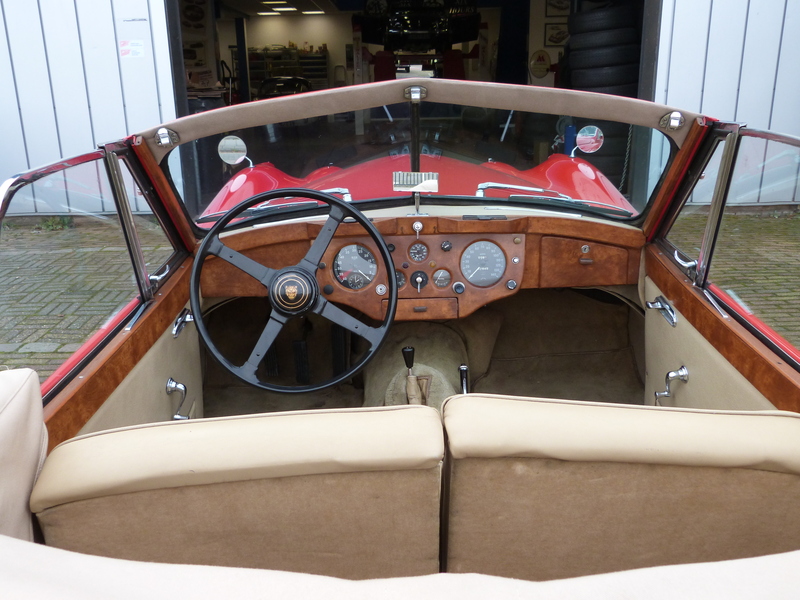 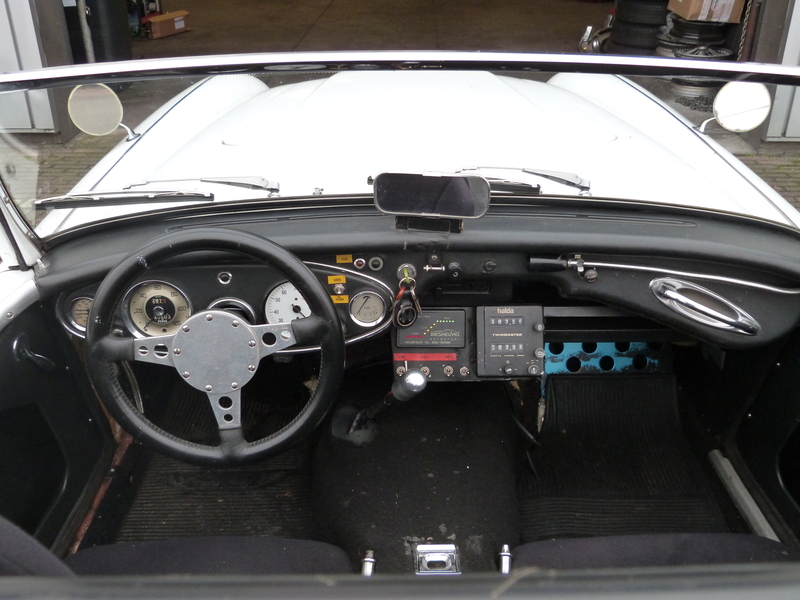 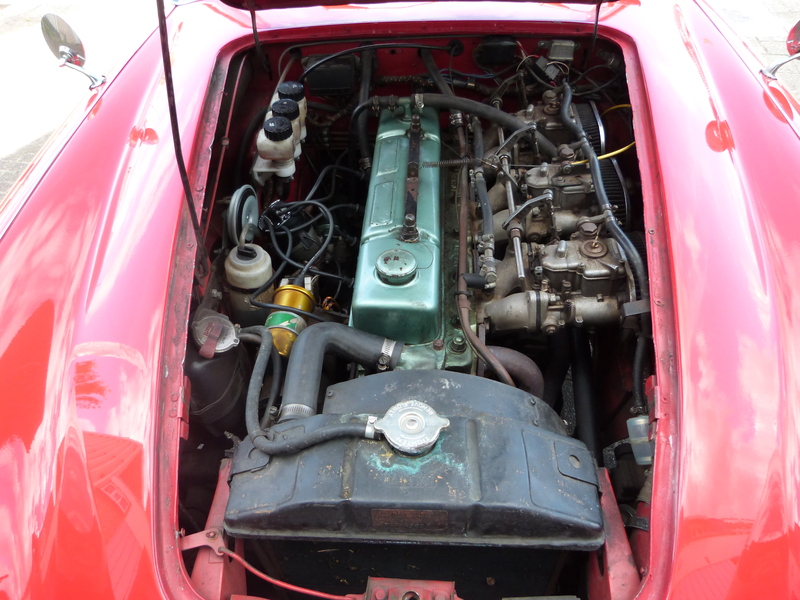 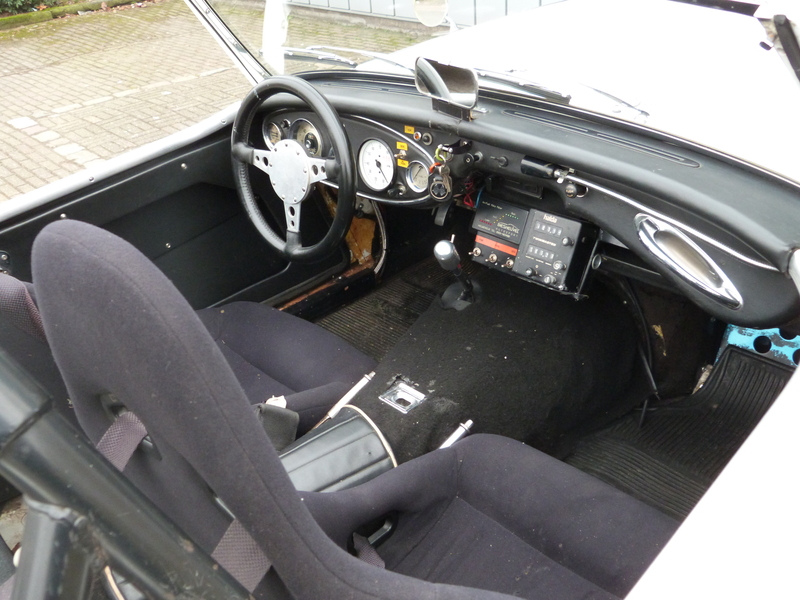 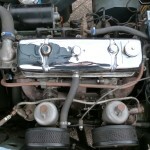 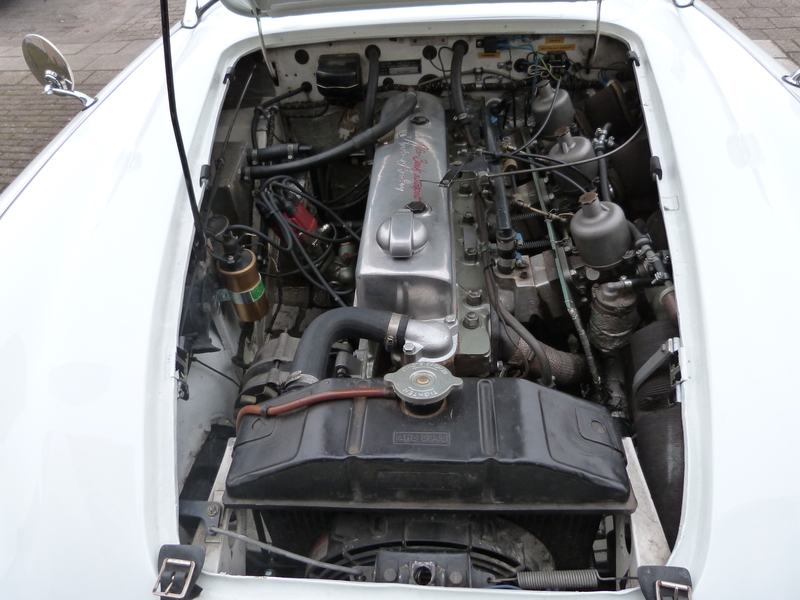 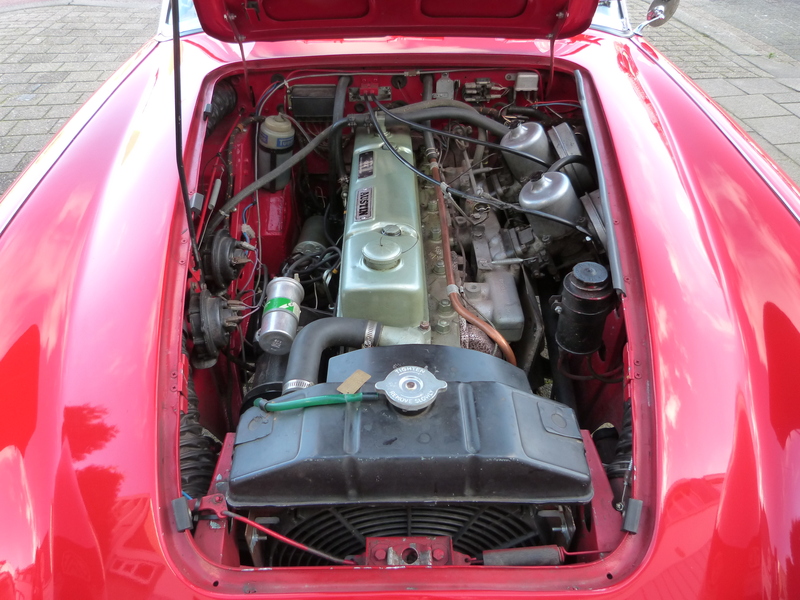 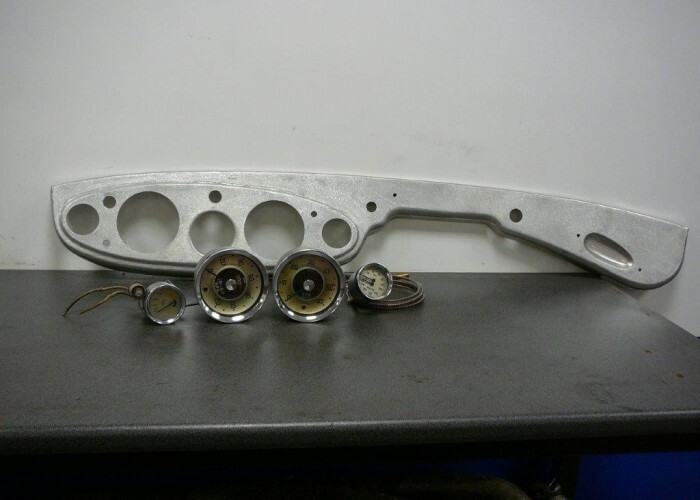 This MKIII is very Original and in a very good good condition. 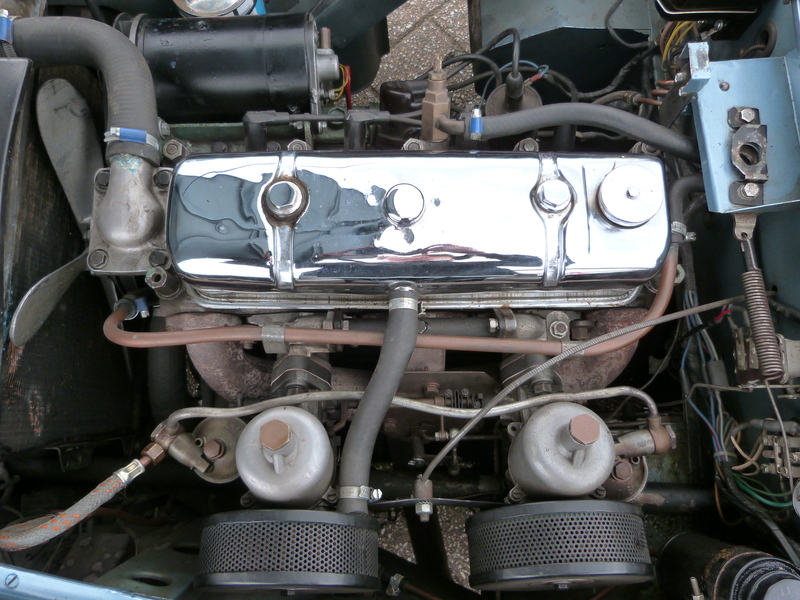 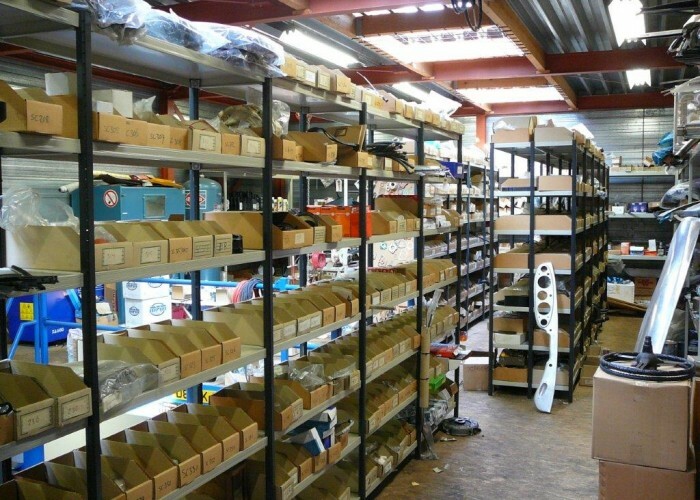 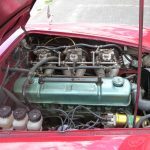 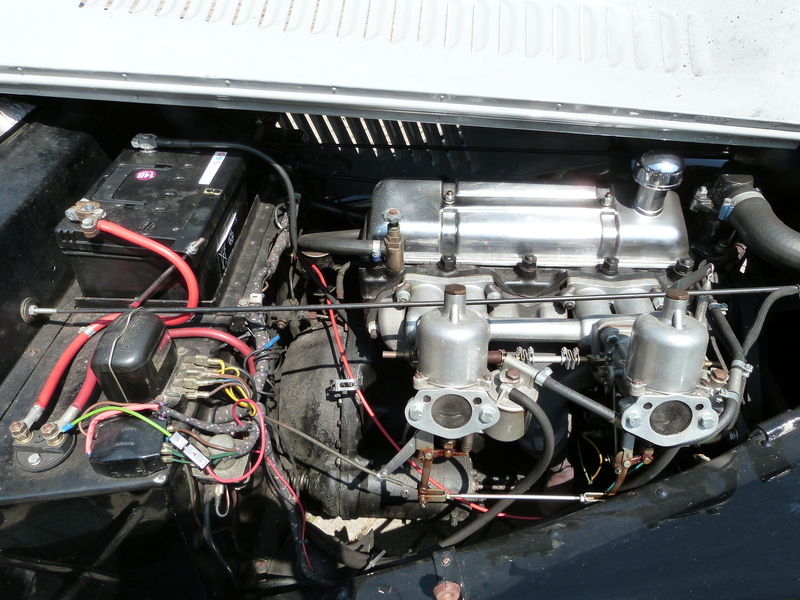 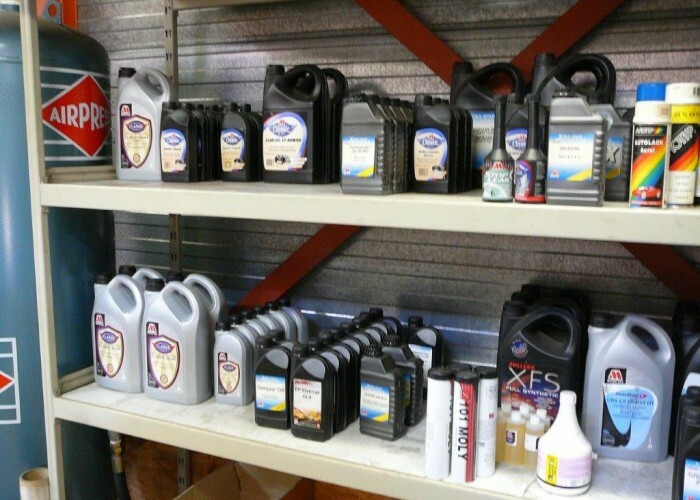 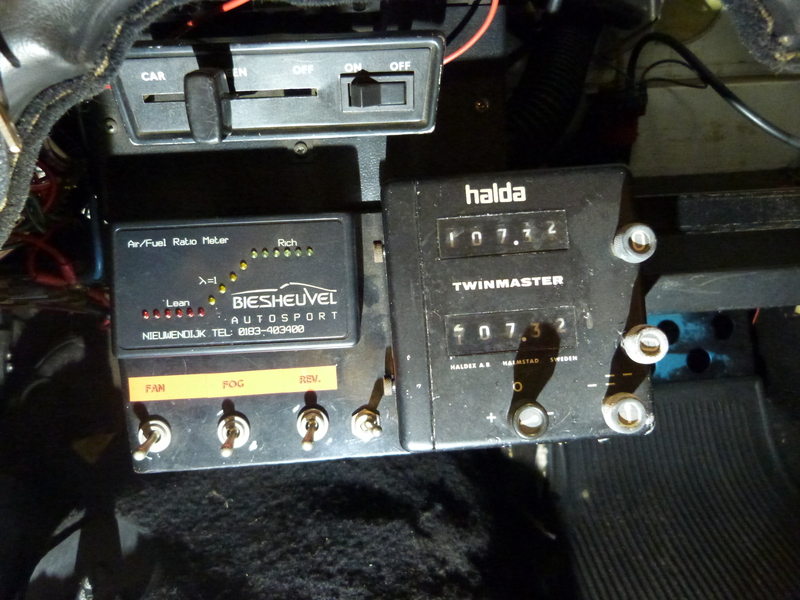 A lot of new parts have recently been fitted to the car, including the steeringbox, brakesystem and a reconditioned cylinderhead. 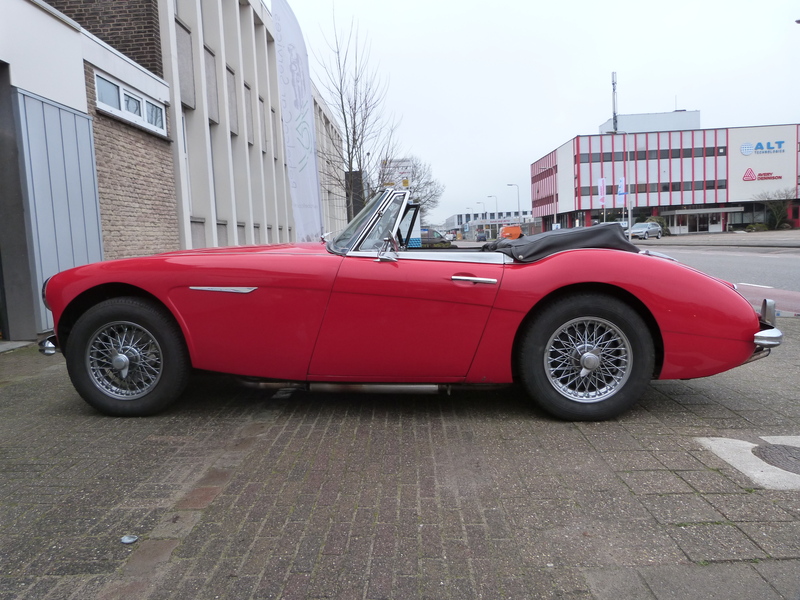 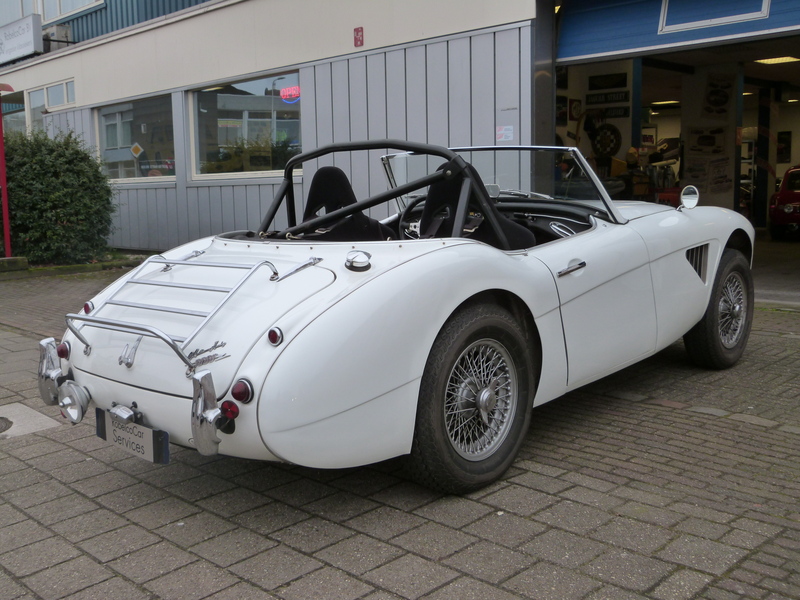 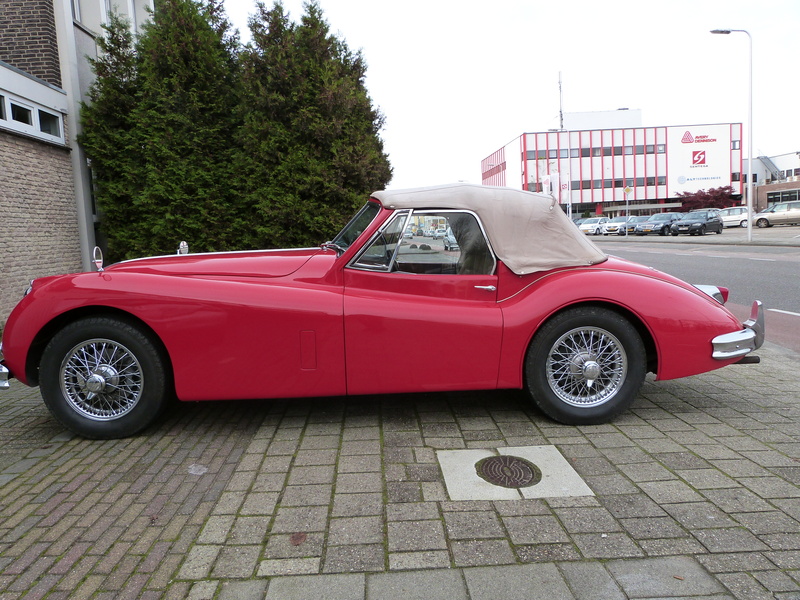 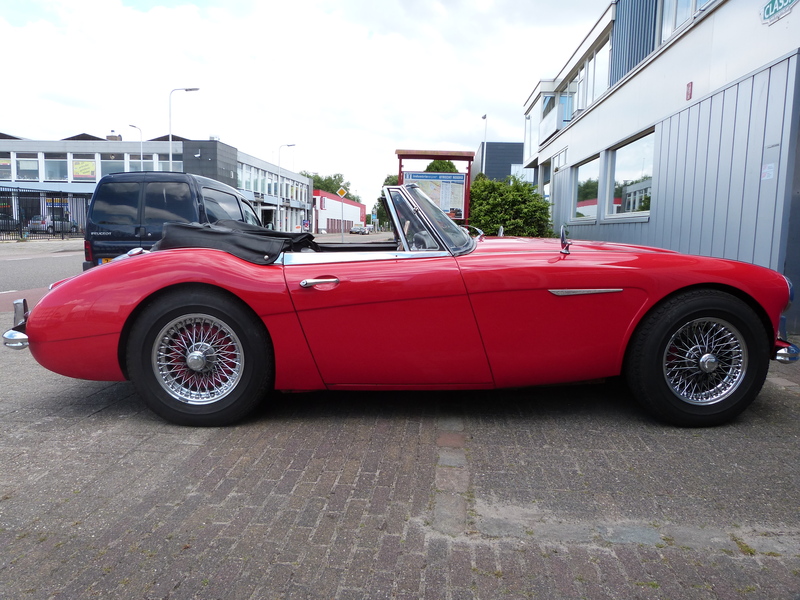 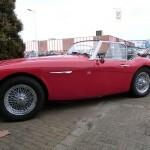 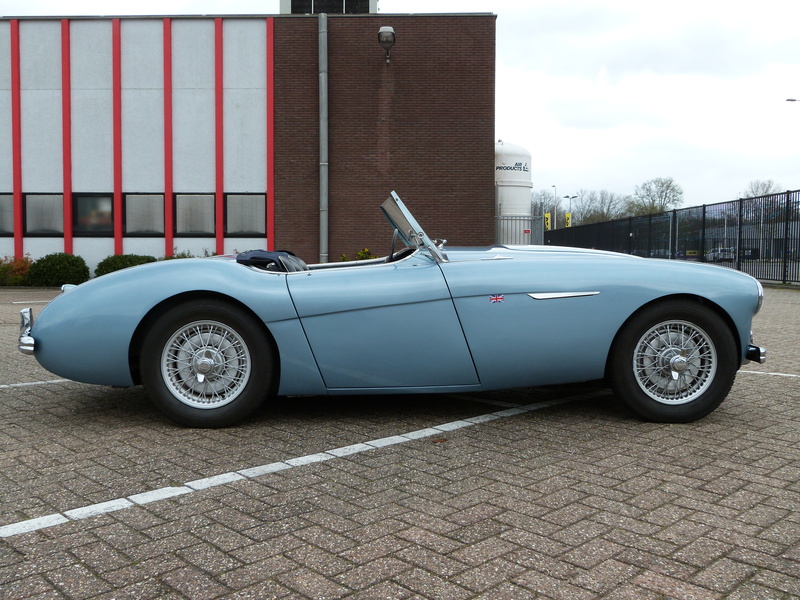 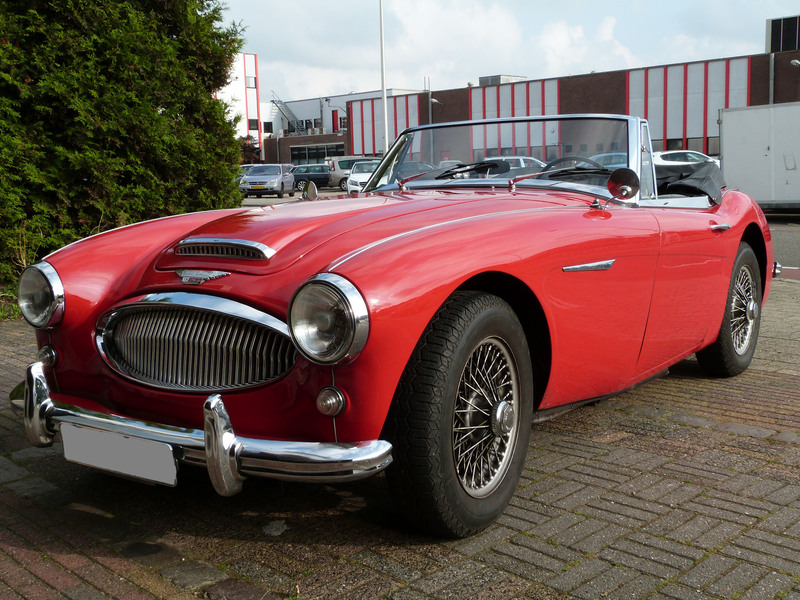 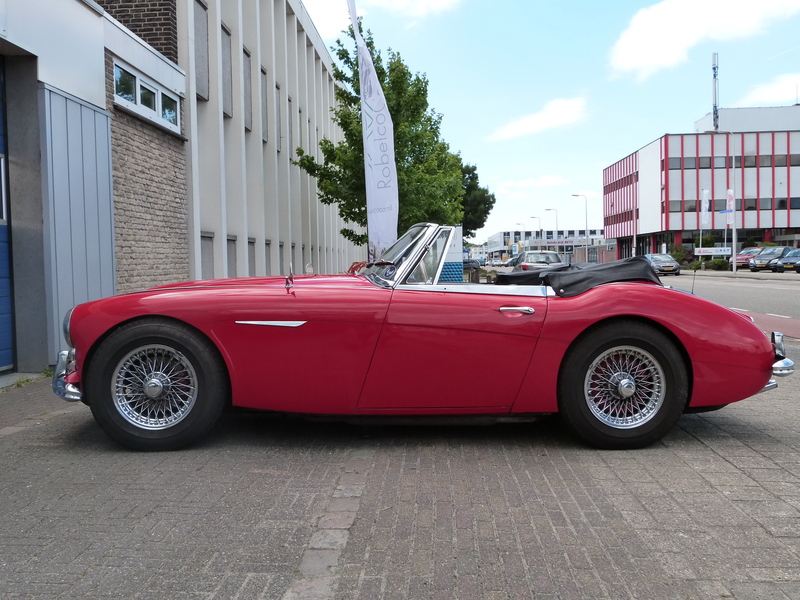 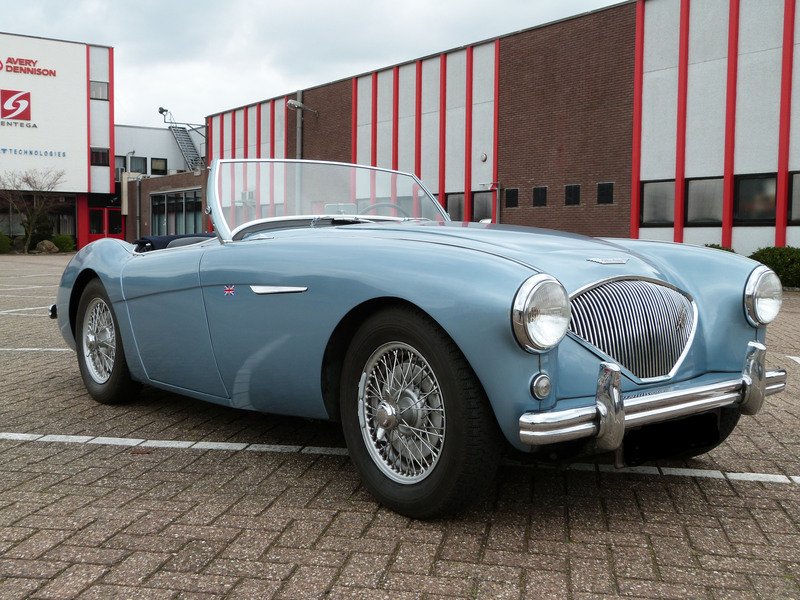 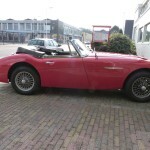 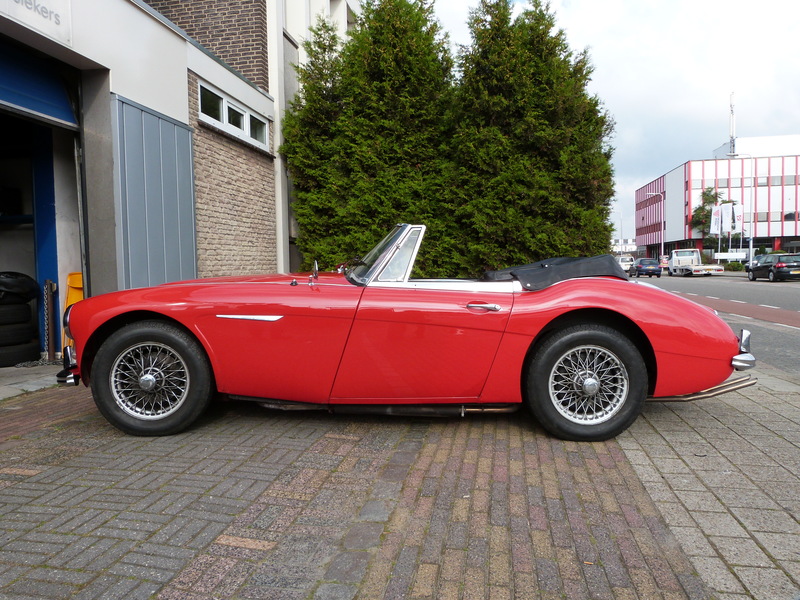 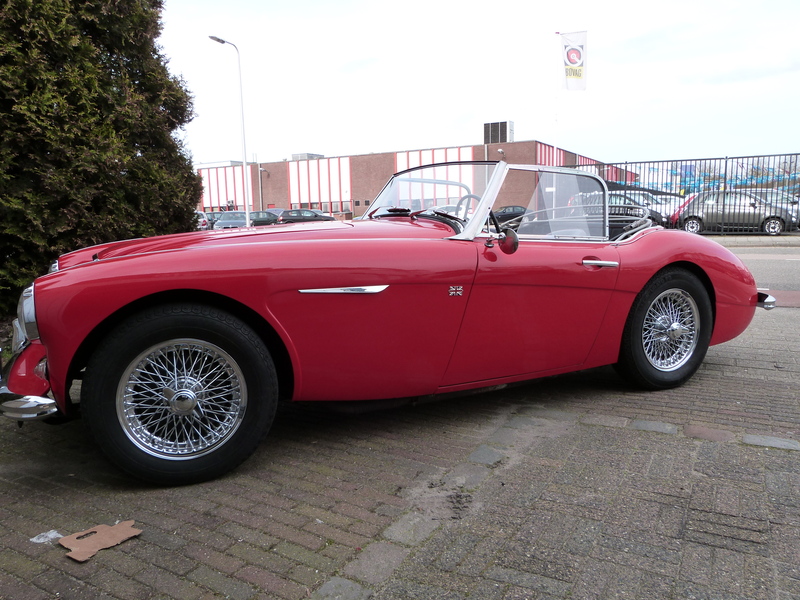 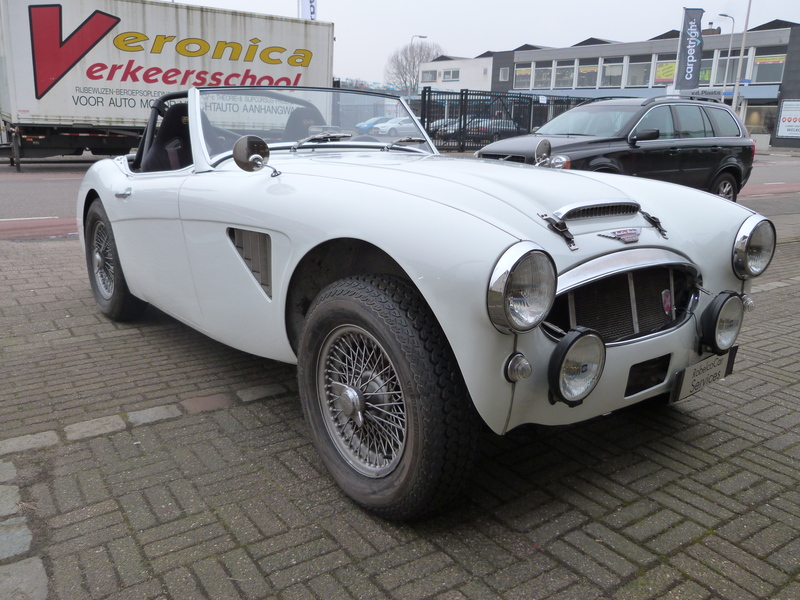 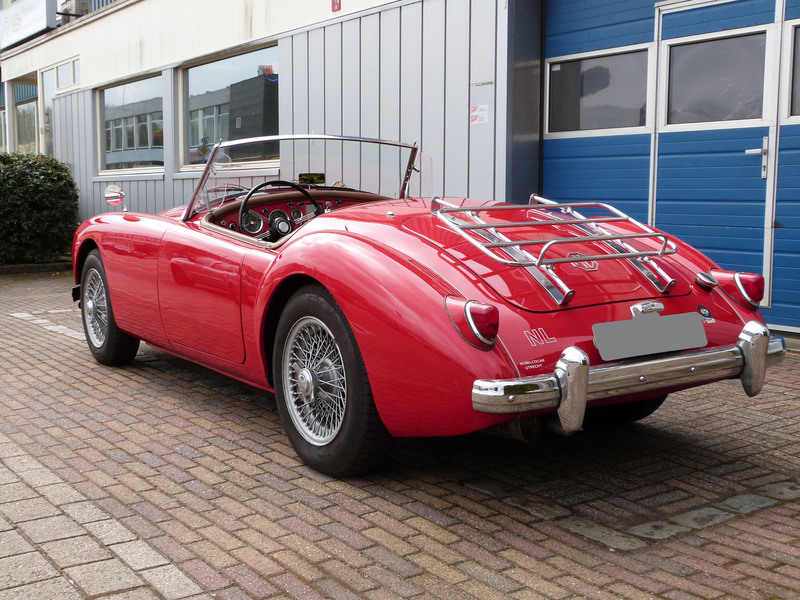 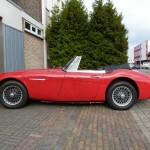 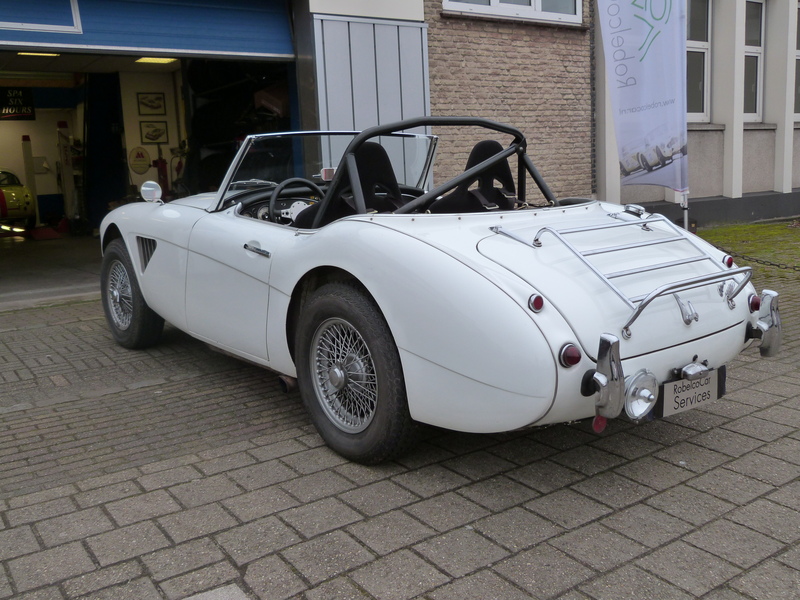 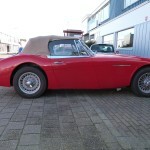 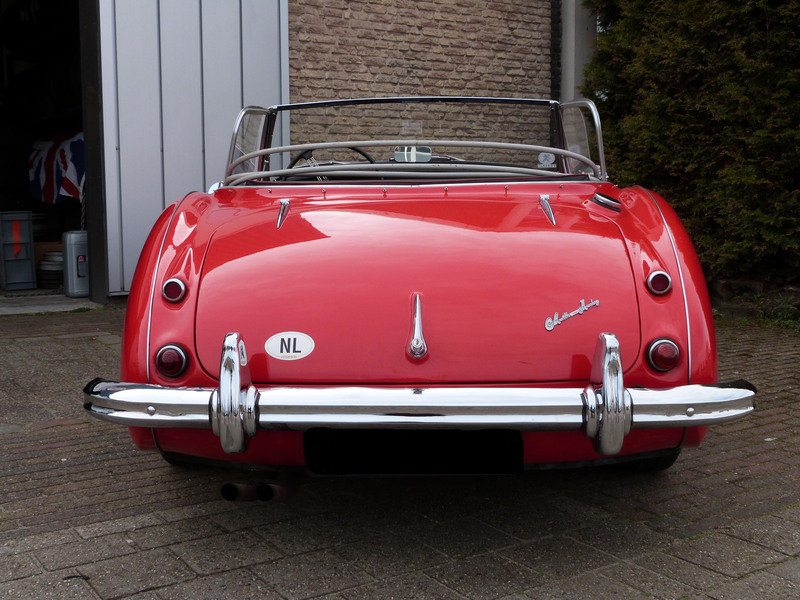 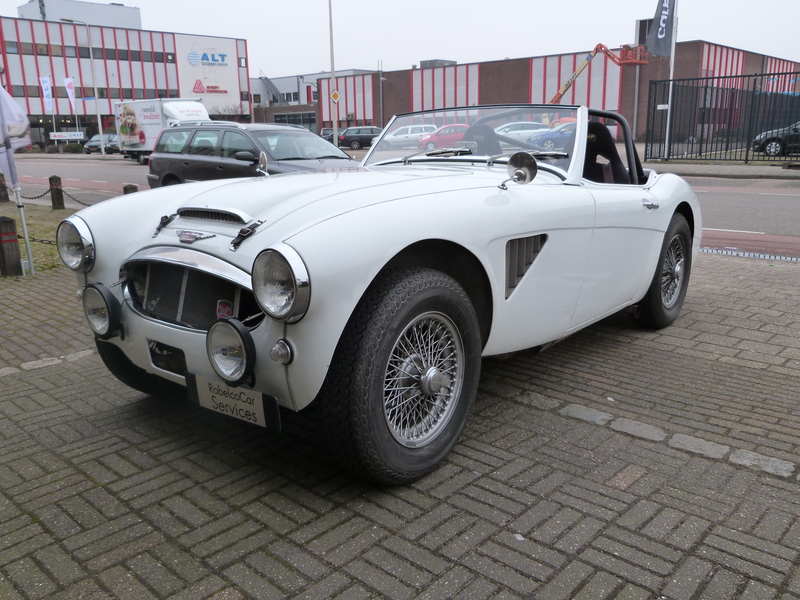 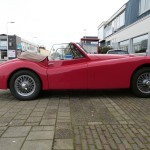 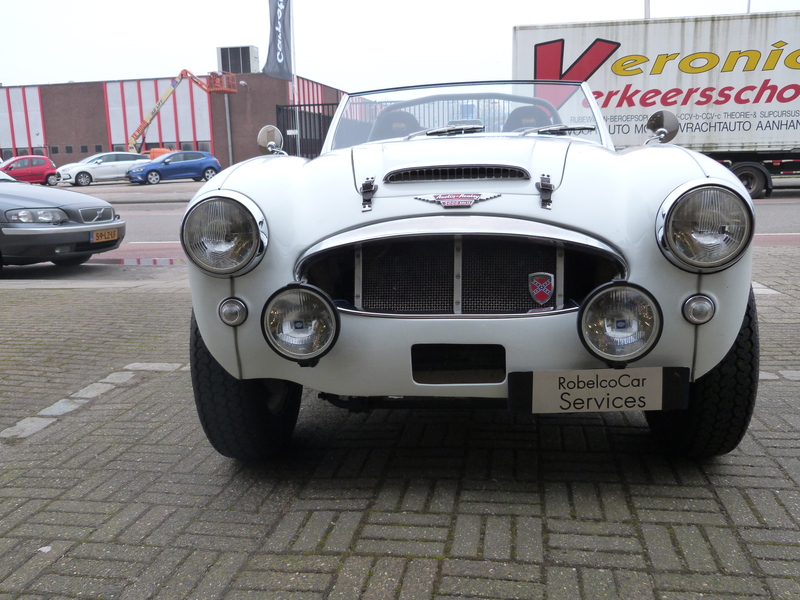 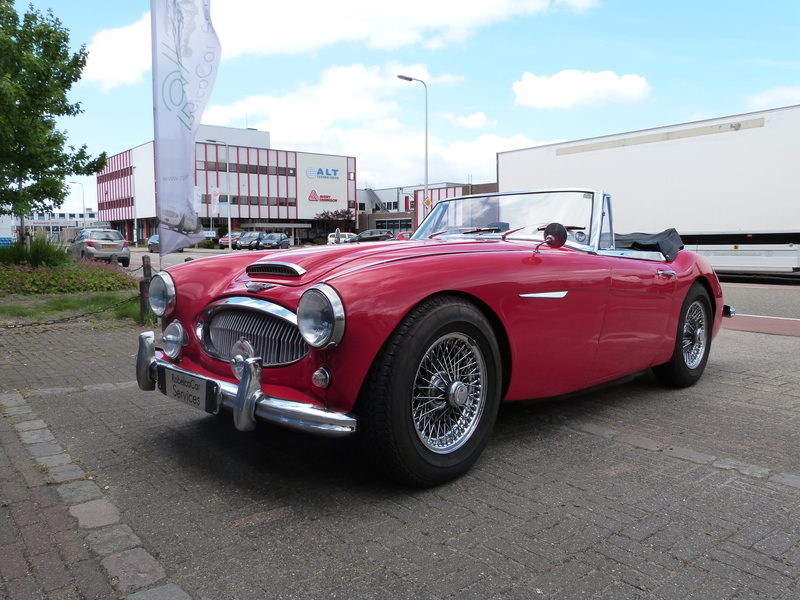 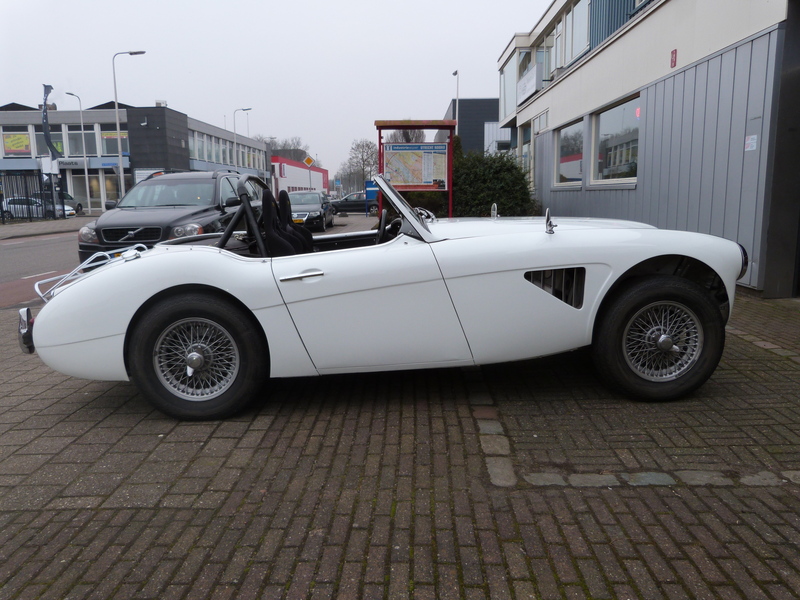 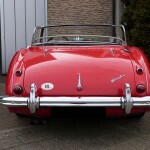 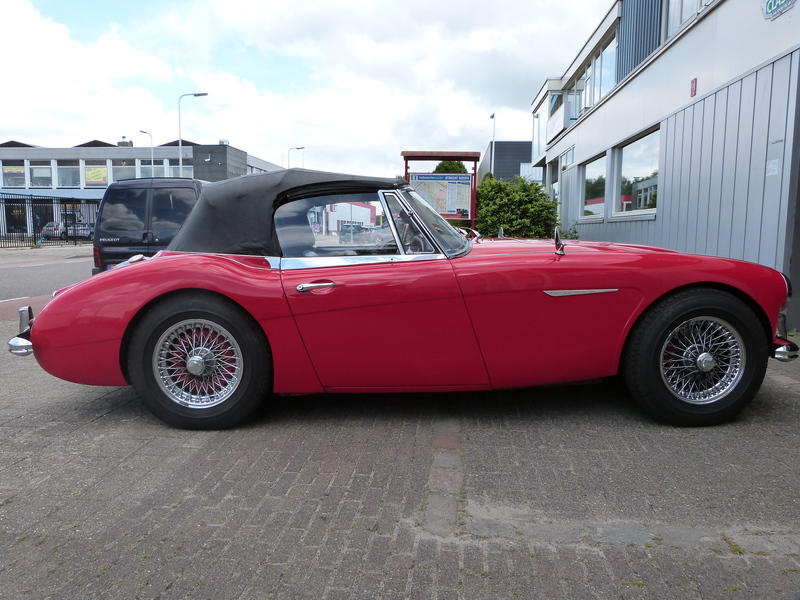 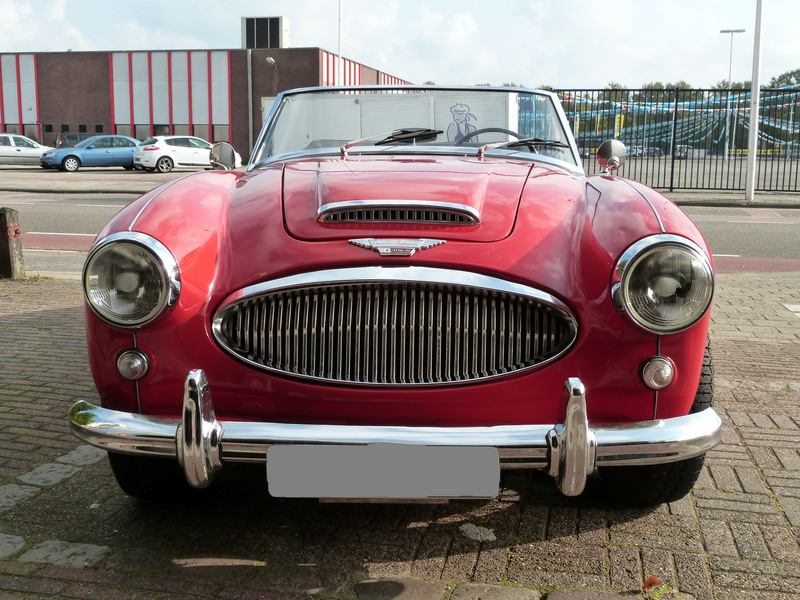 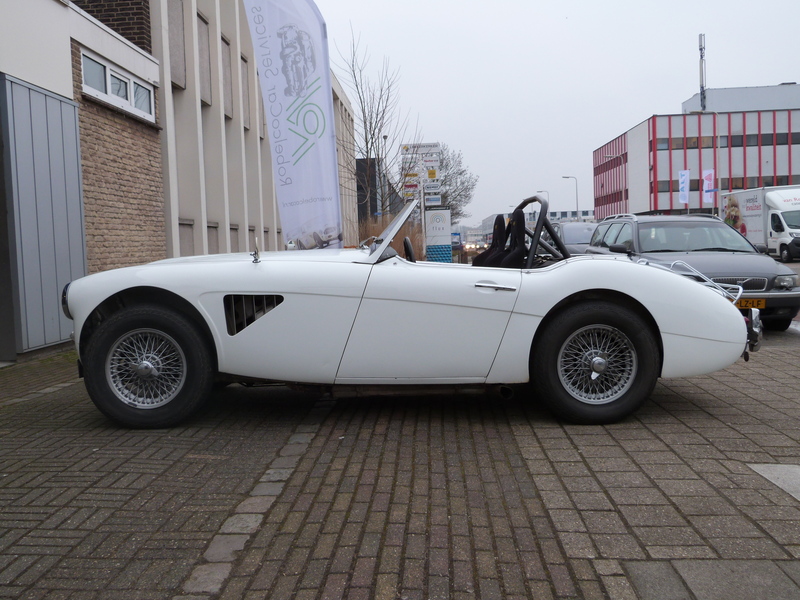 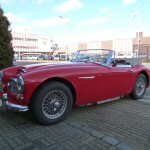 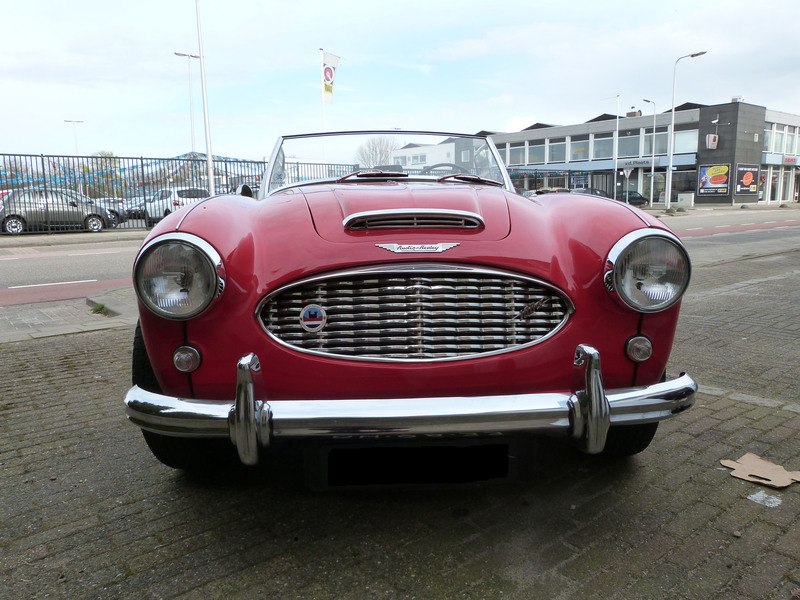 Very nice, good driving Austin Healey 100/6. 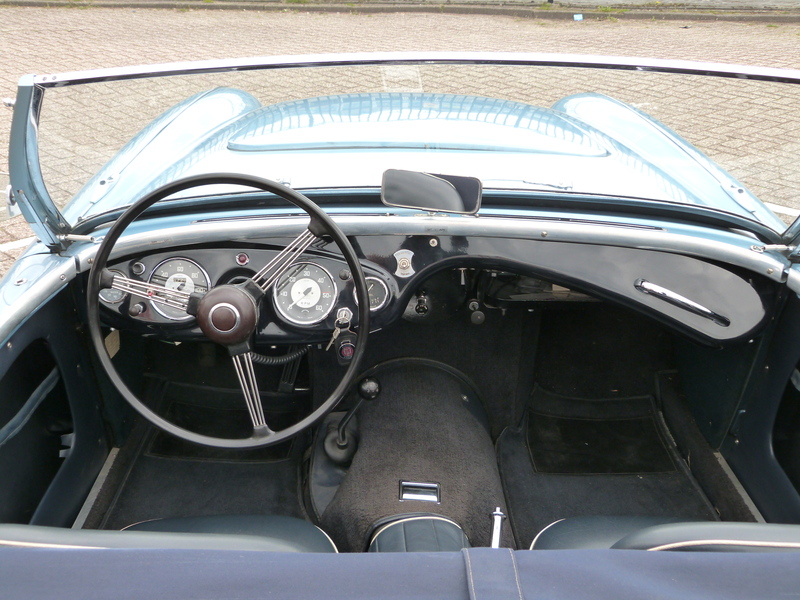 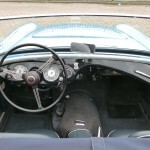 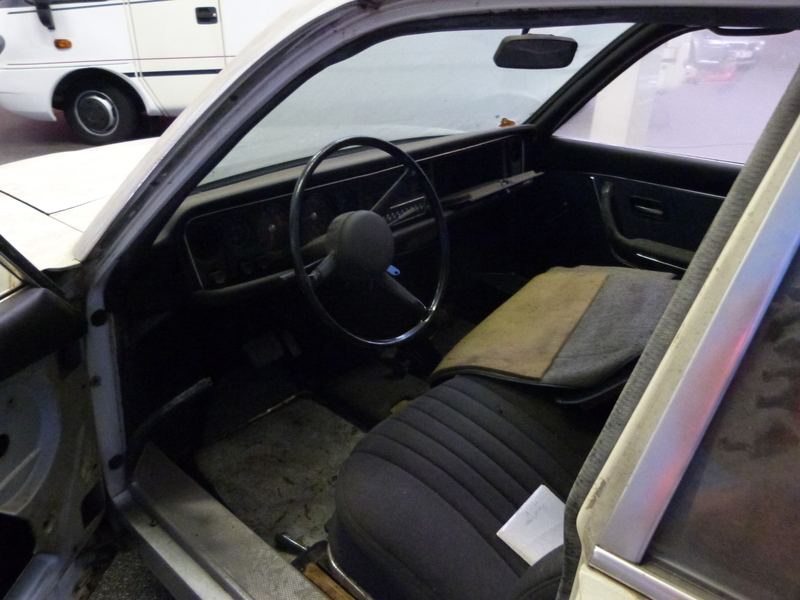 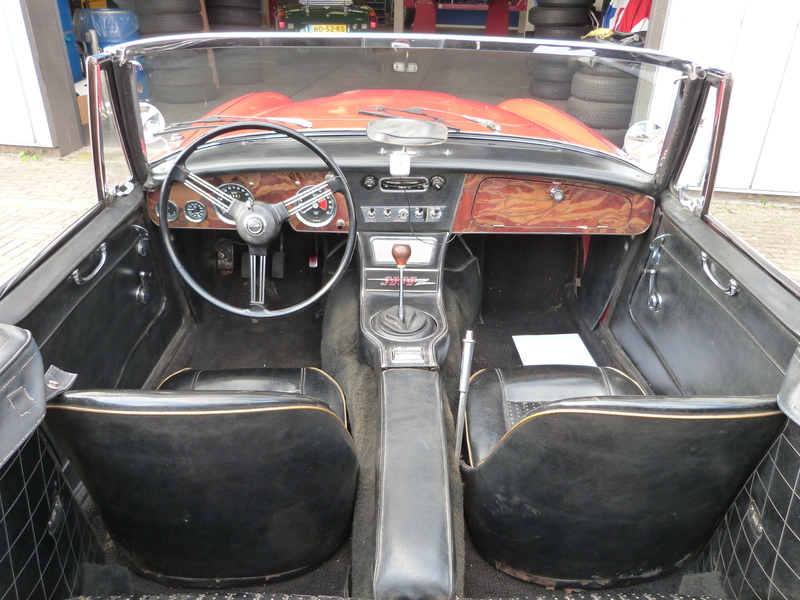 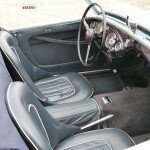 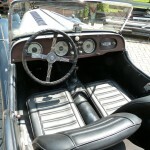 The car has the original sidescreens, a black hood and a blue tonneau cover. 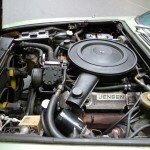 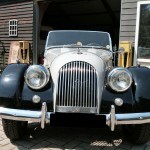 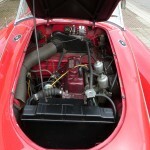 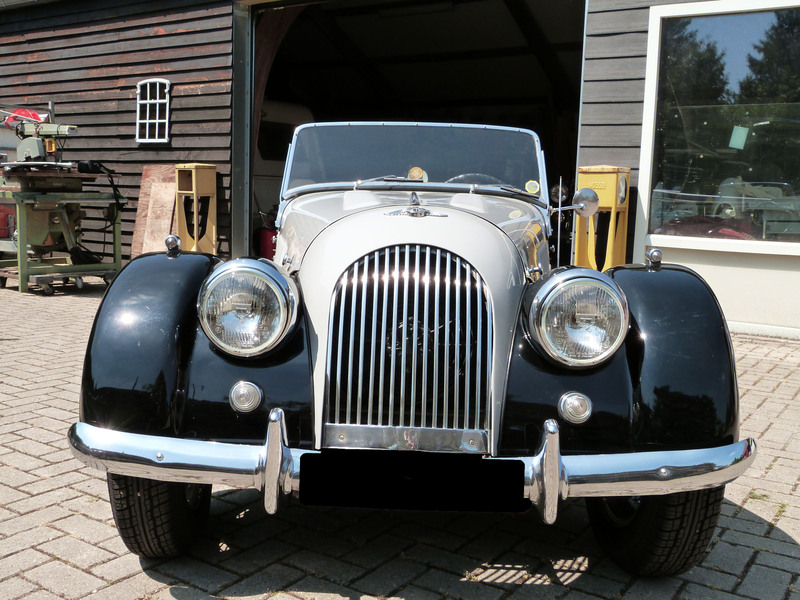 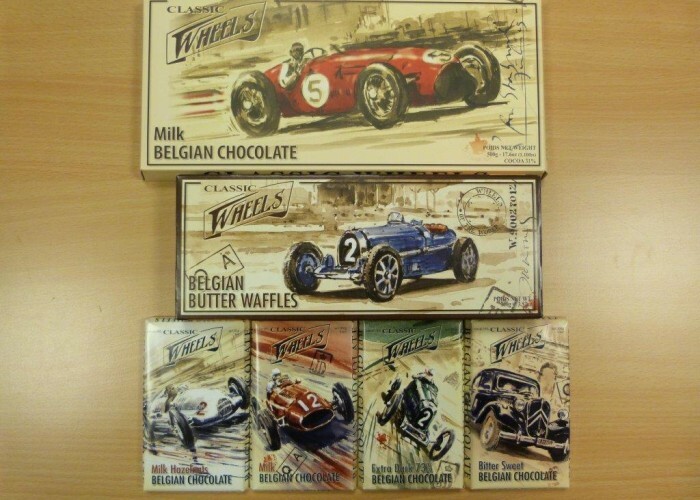 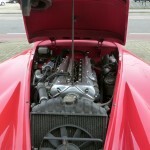 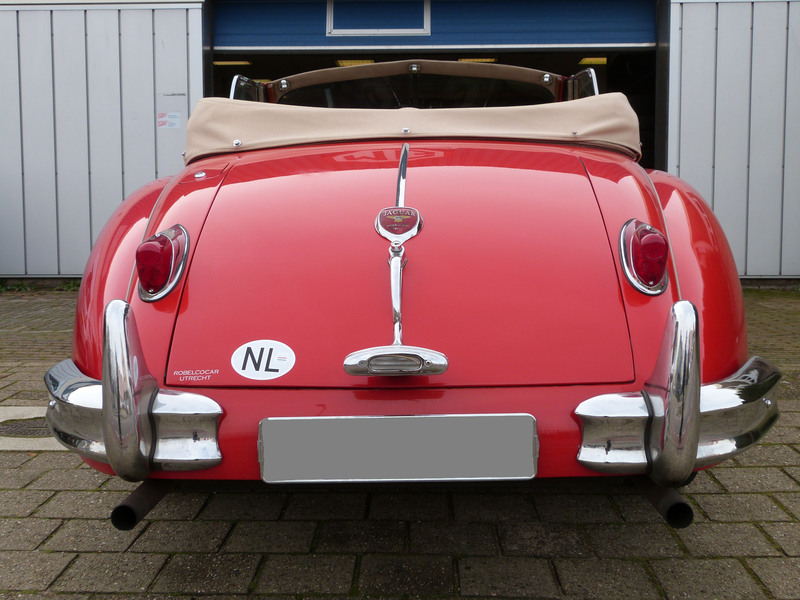 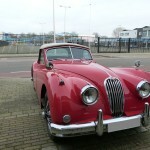 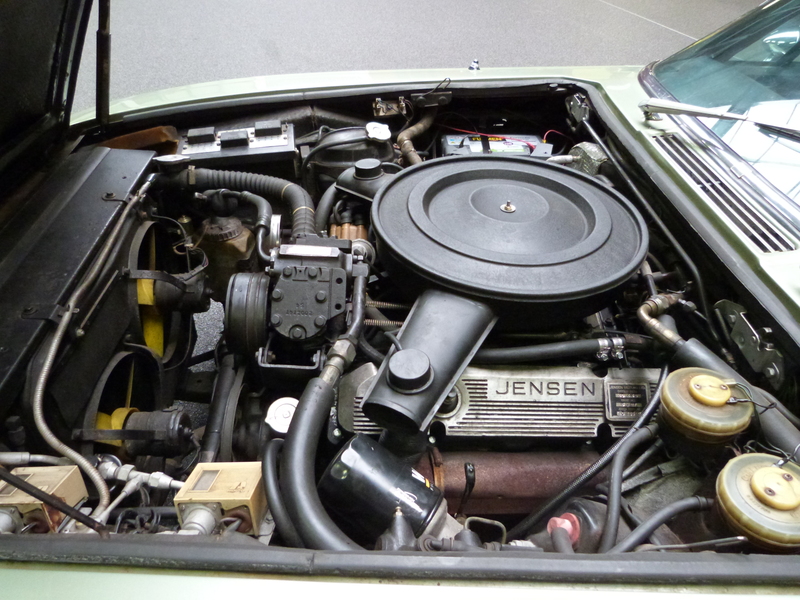 Original Dutch one owner car with minor engine damage. 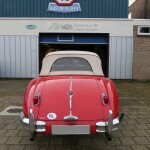 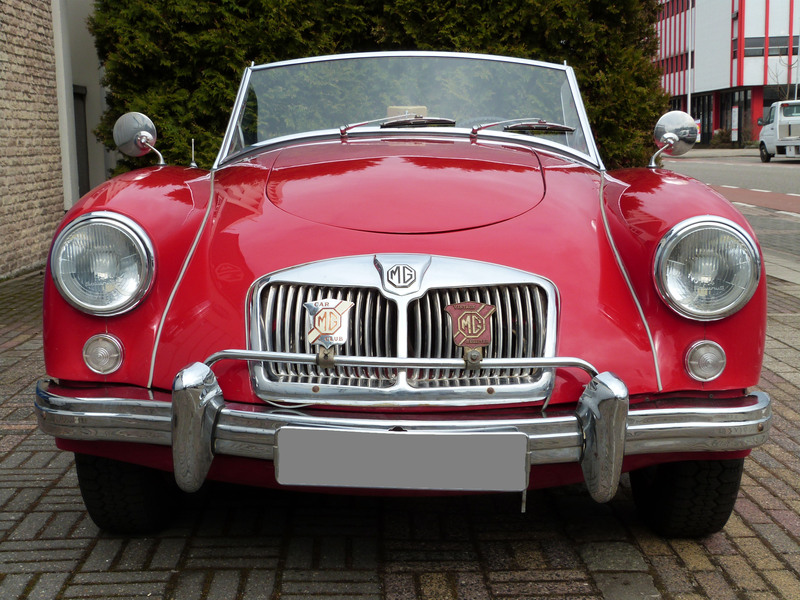 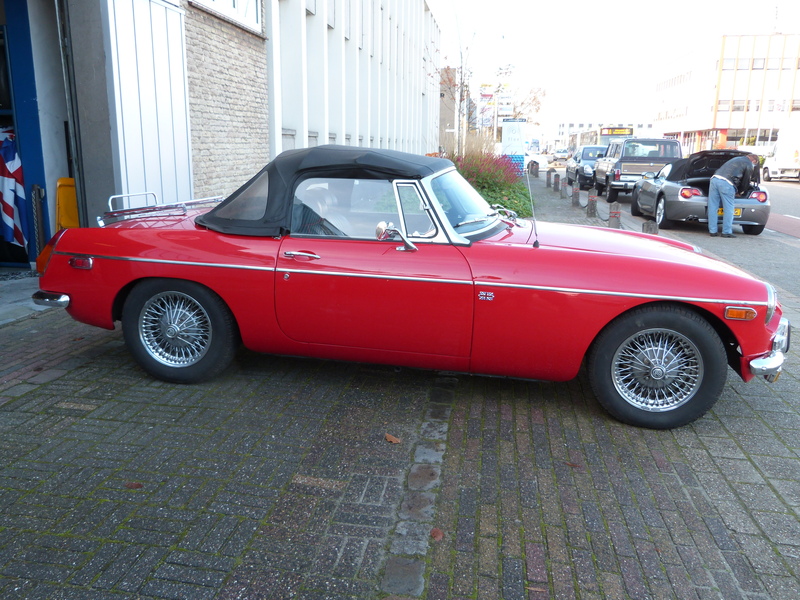 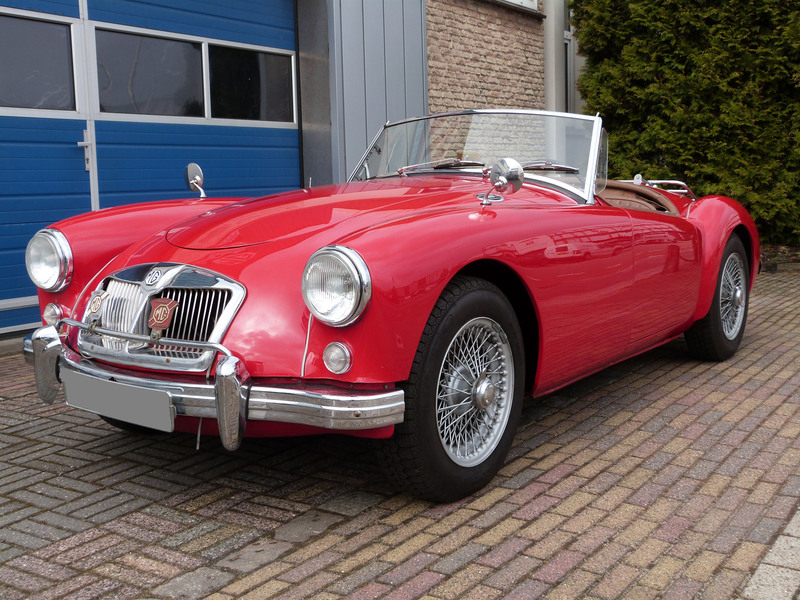 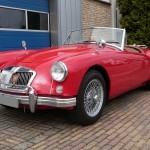 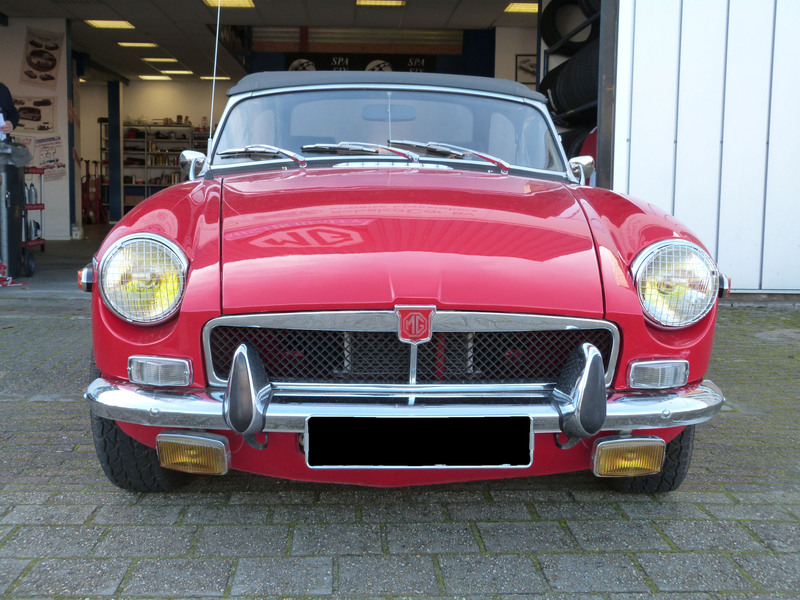 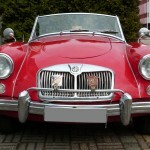 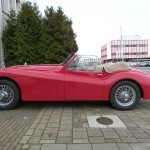 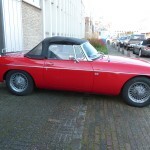 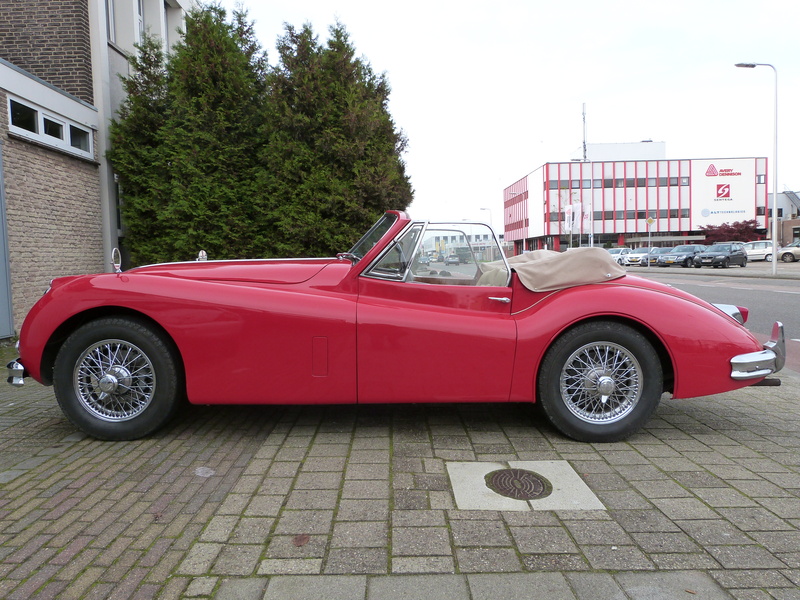 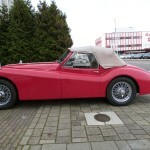 Nice, good driving red MGA in a good condition. 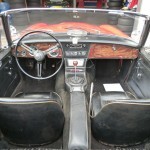 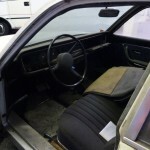 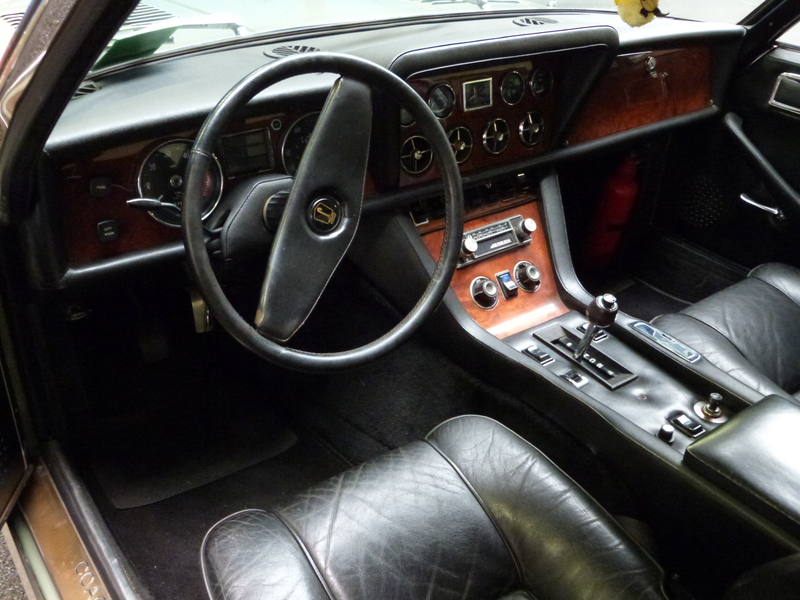 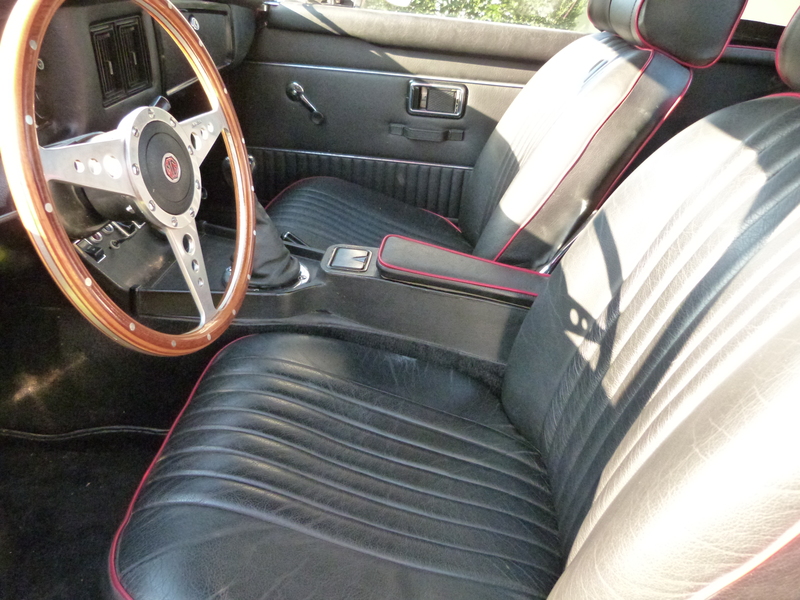 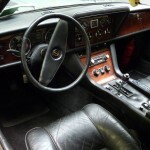 The car has a brown interior, black hood and black tonneau cover. 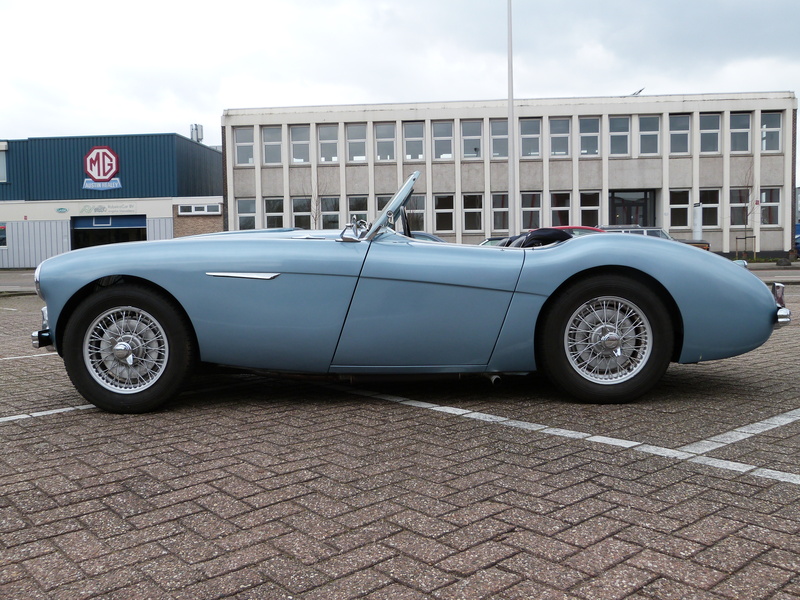 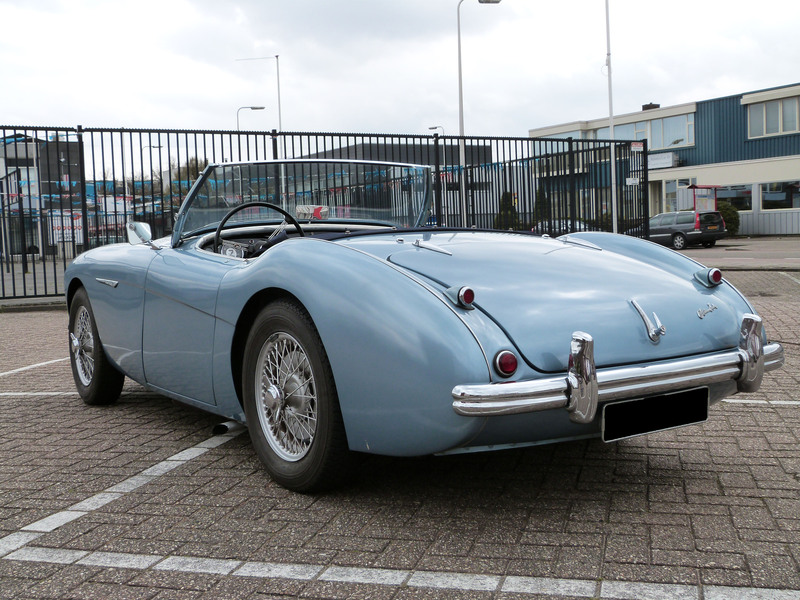 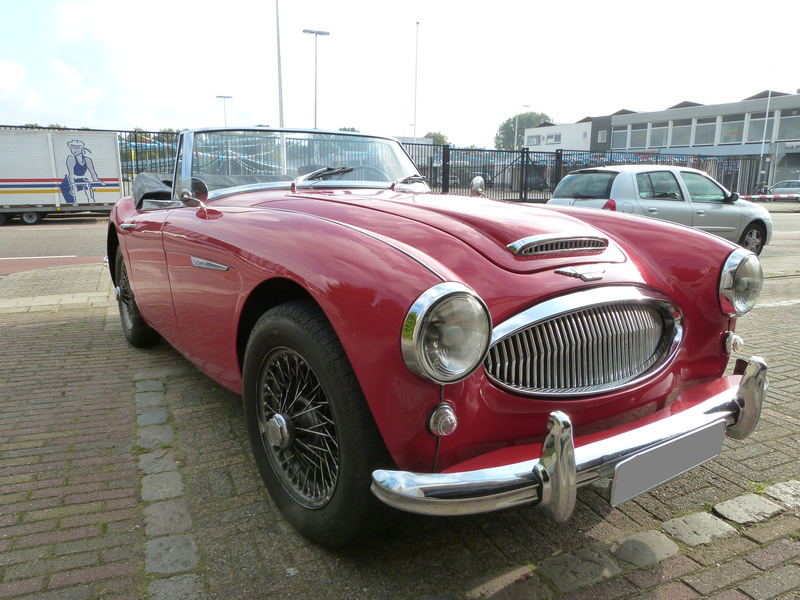 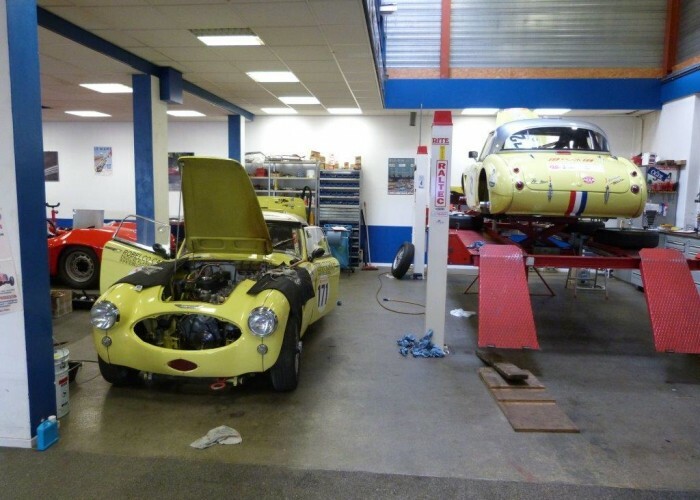 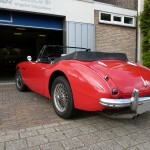 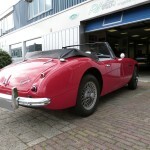 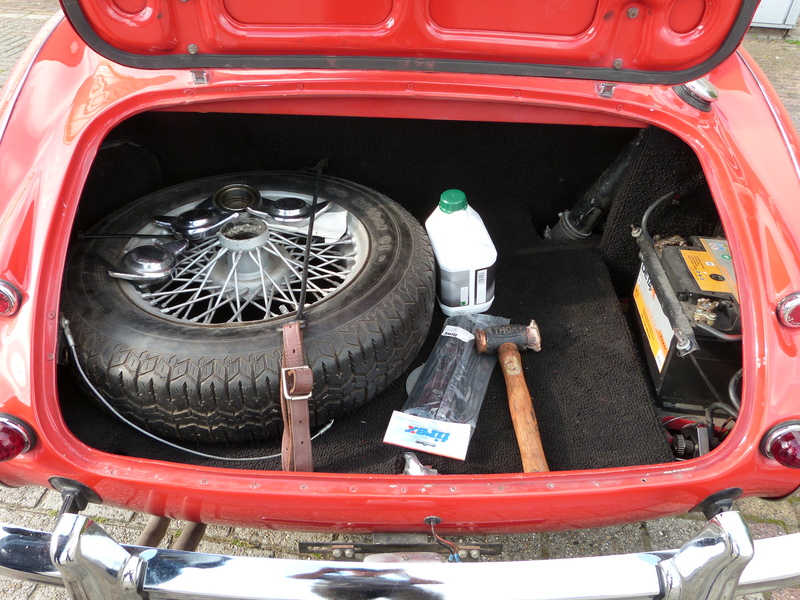 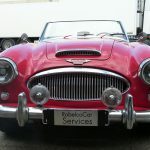 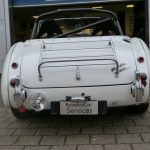 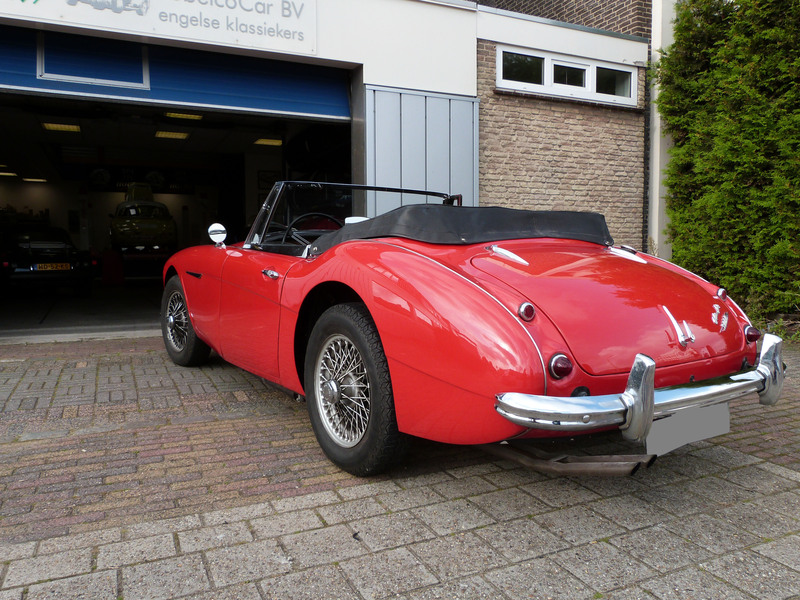 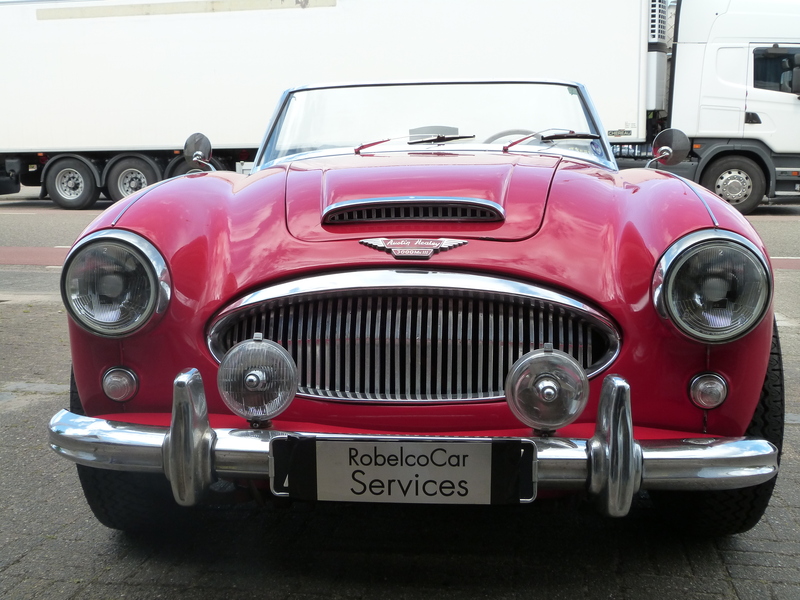 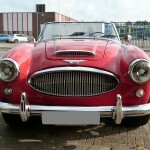 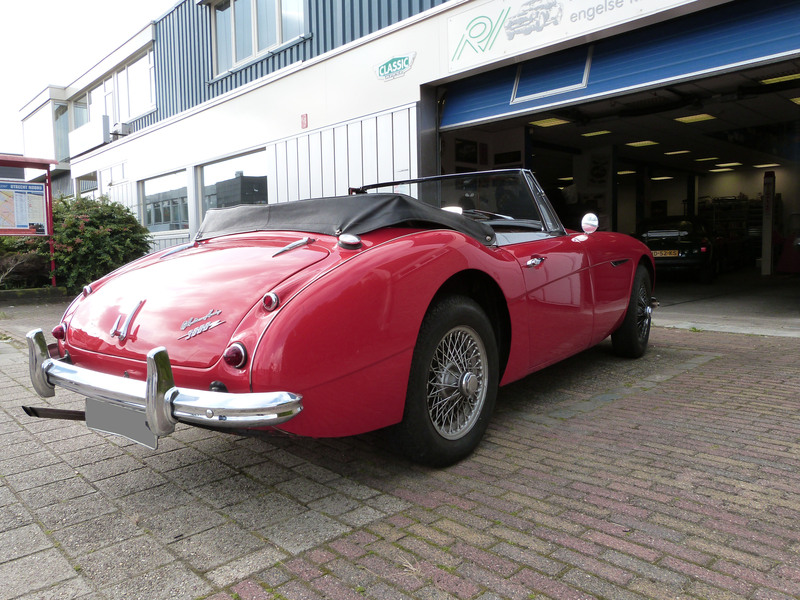 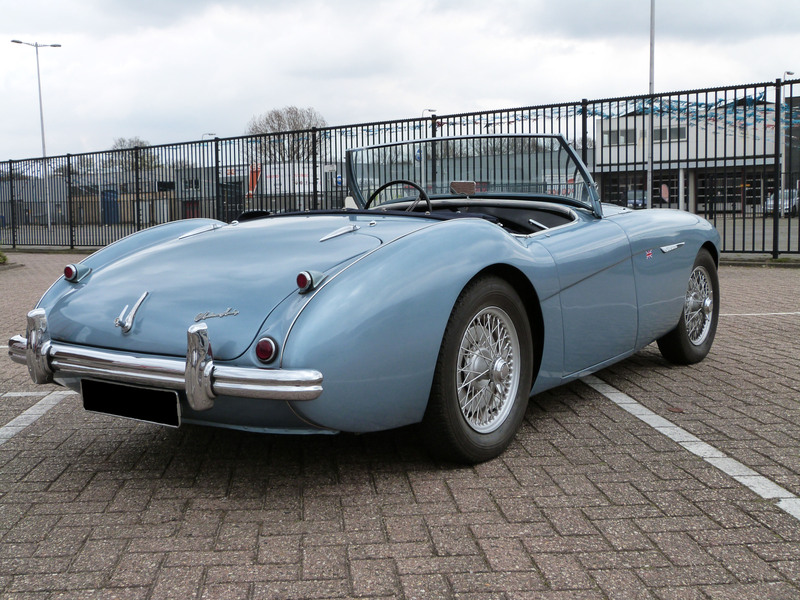 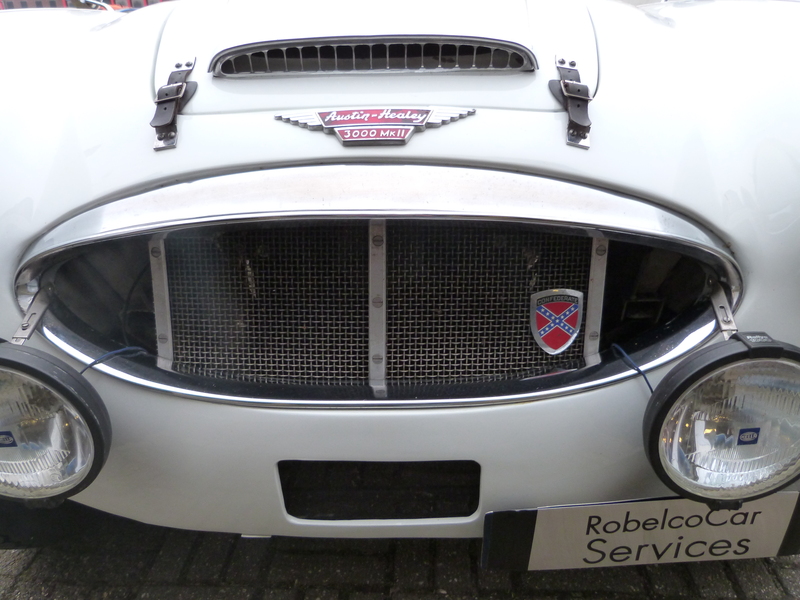 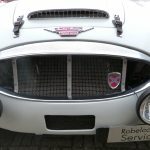 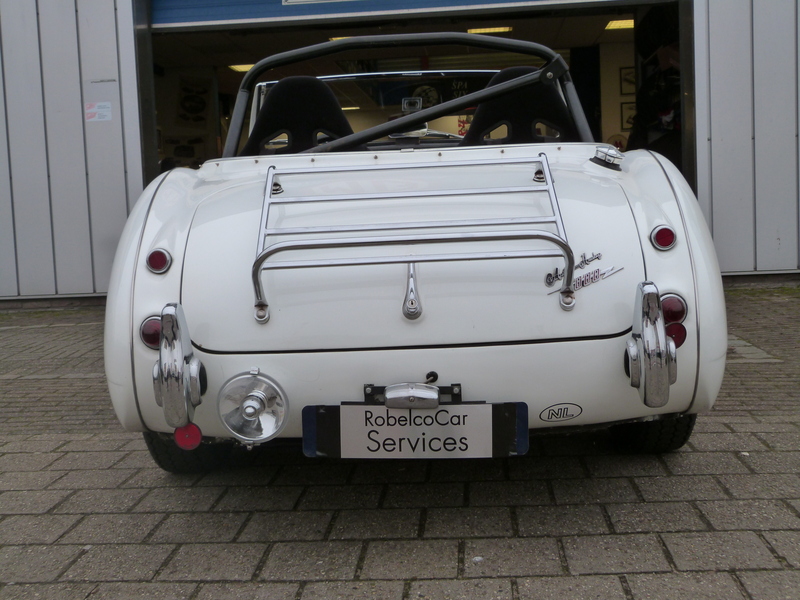 Nice, good driving Austin Healey with recent MOT. 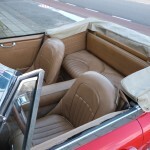 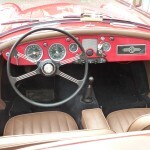 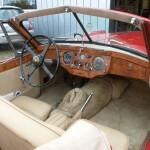 The car is red with a beige interior, beige hood and beige tonneau cover. 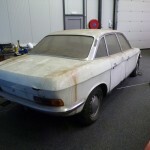 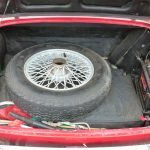 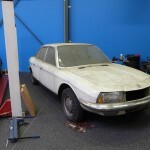 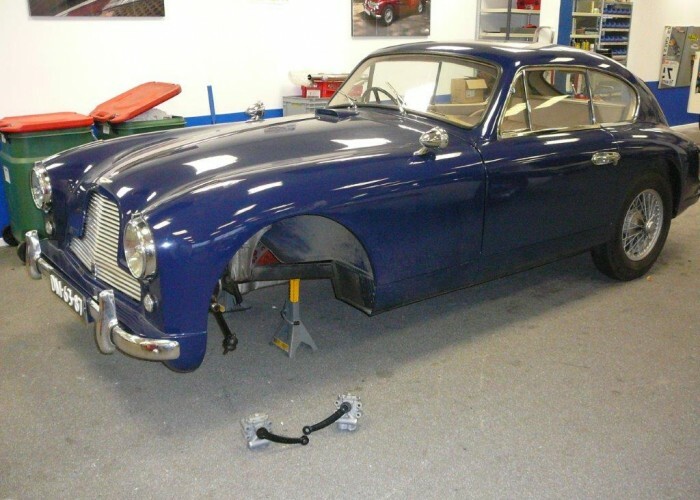 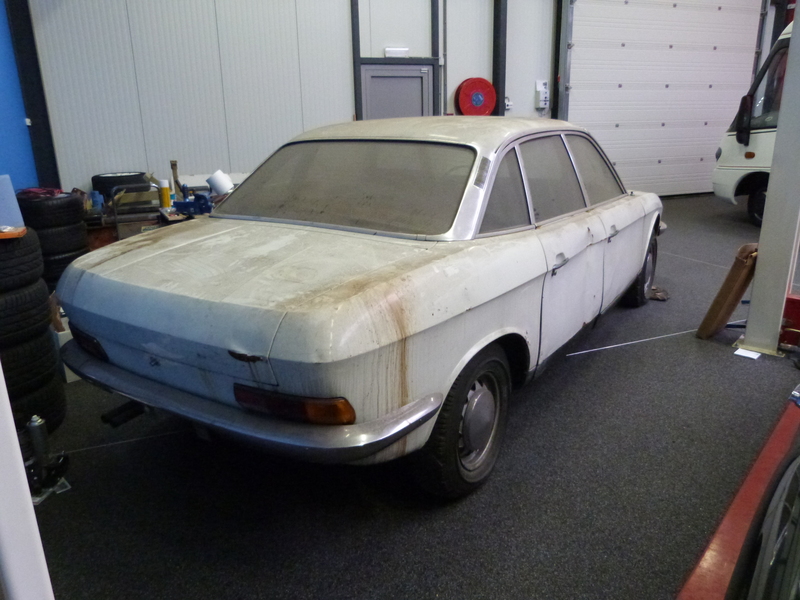 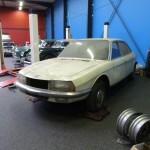 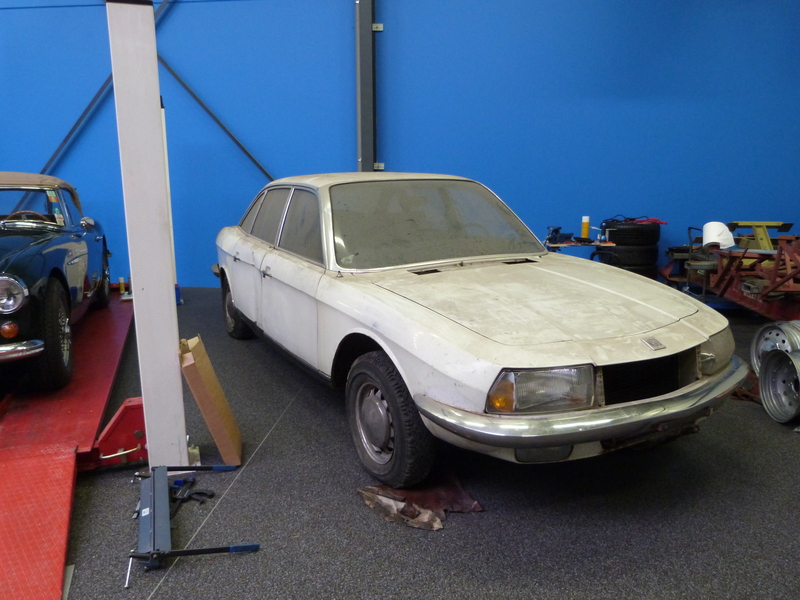 This car has to be restored or to be used as a donor car for the parts. 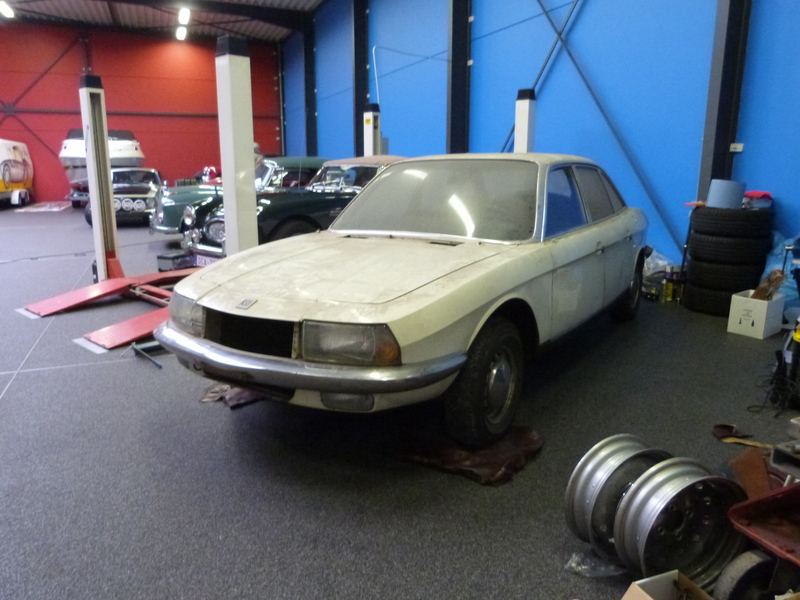 It comes with German paperwork.